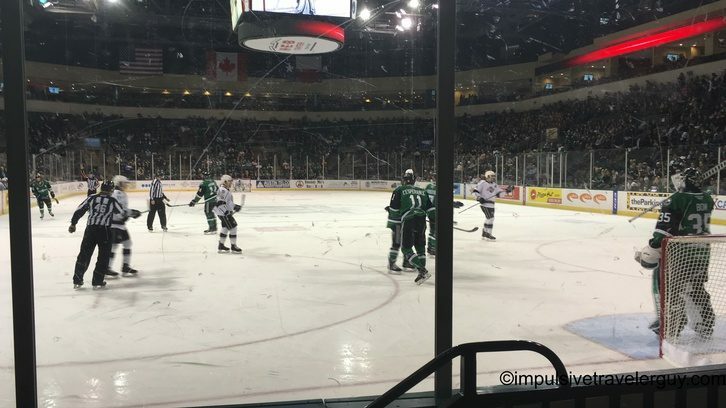 For a Christmas present Victoria got me tickets to the Texas Stars vs. Ontario Reign game. 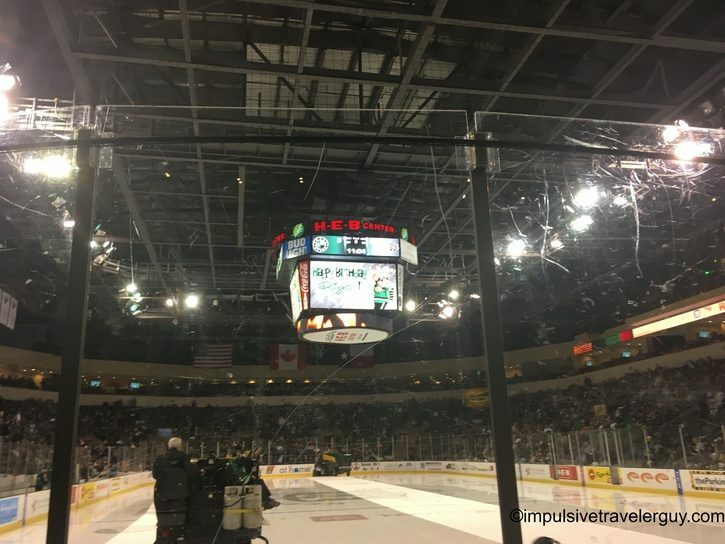 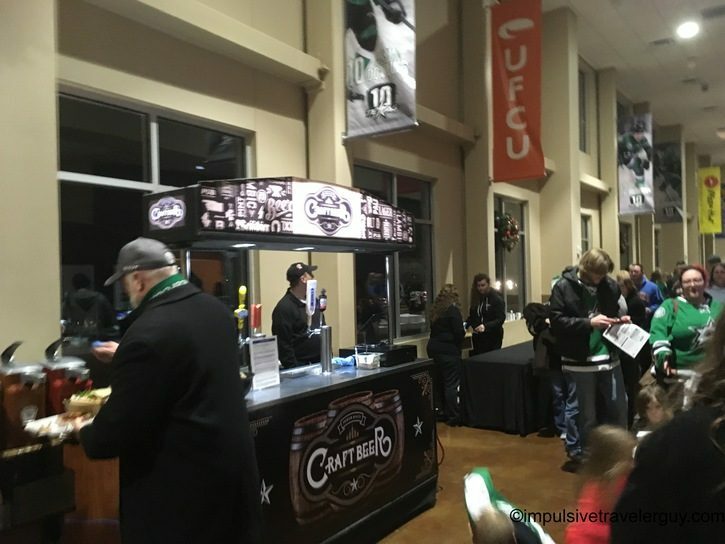 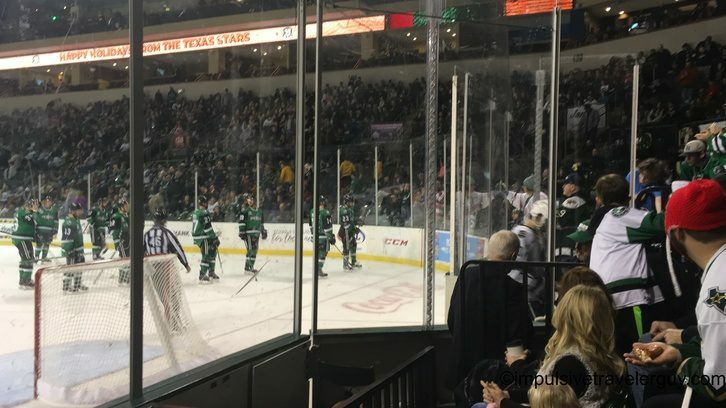 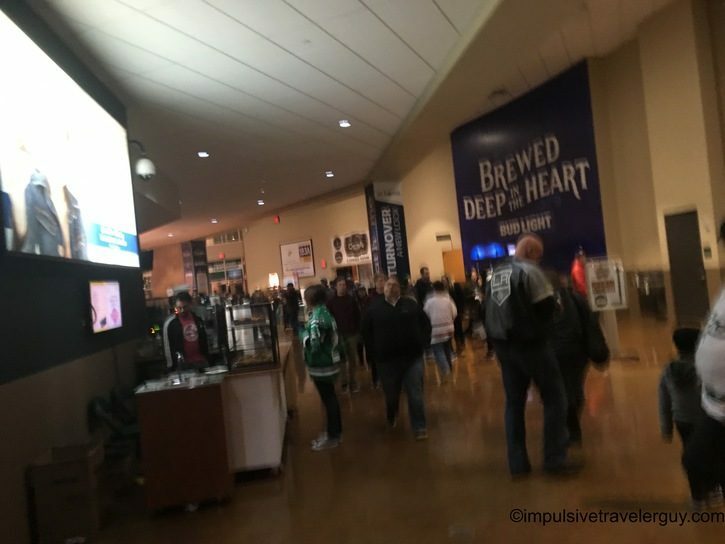 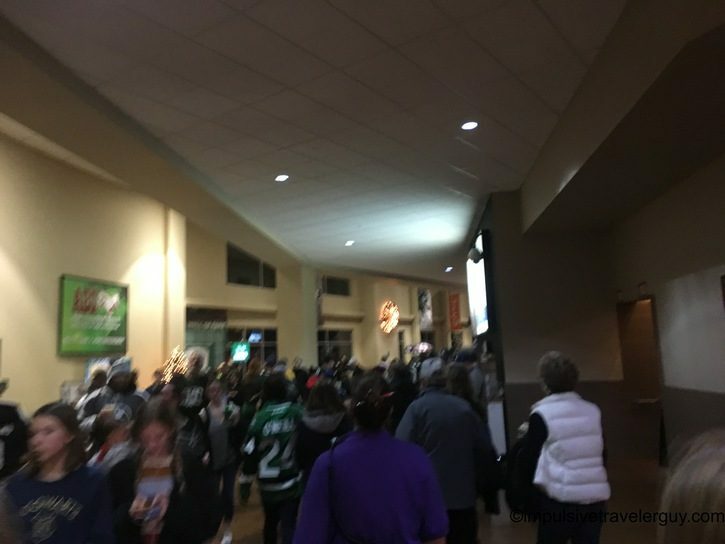 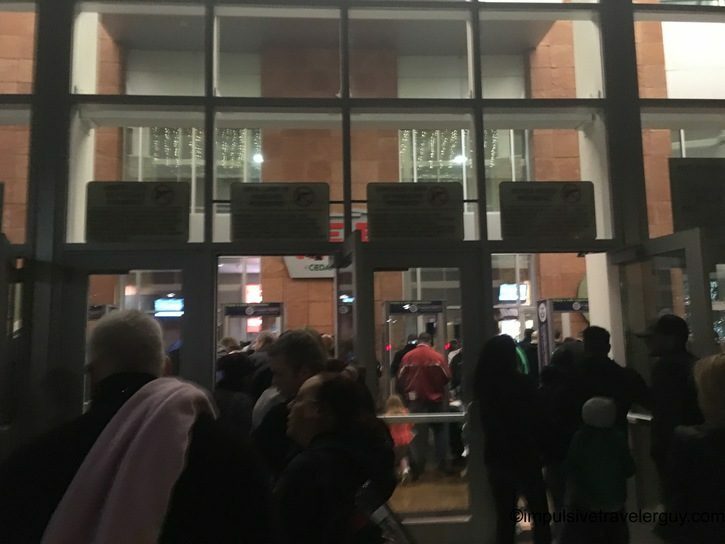 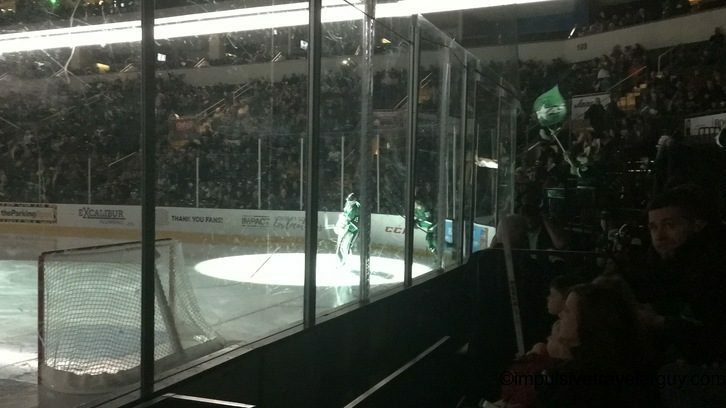 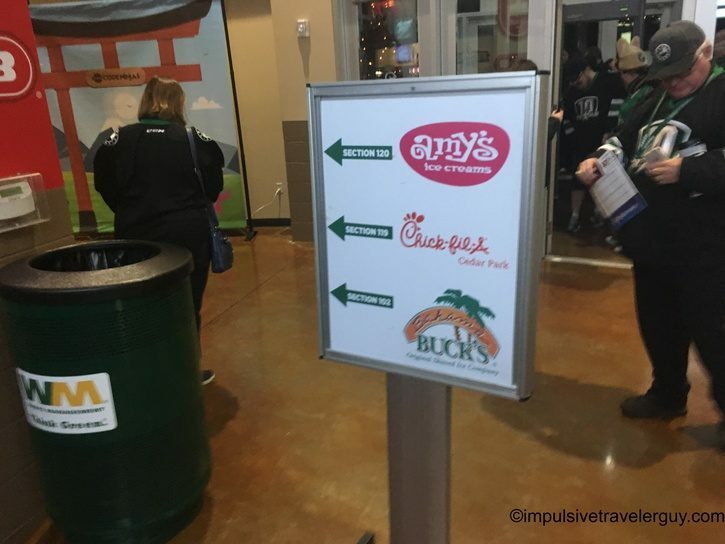 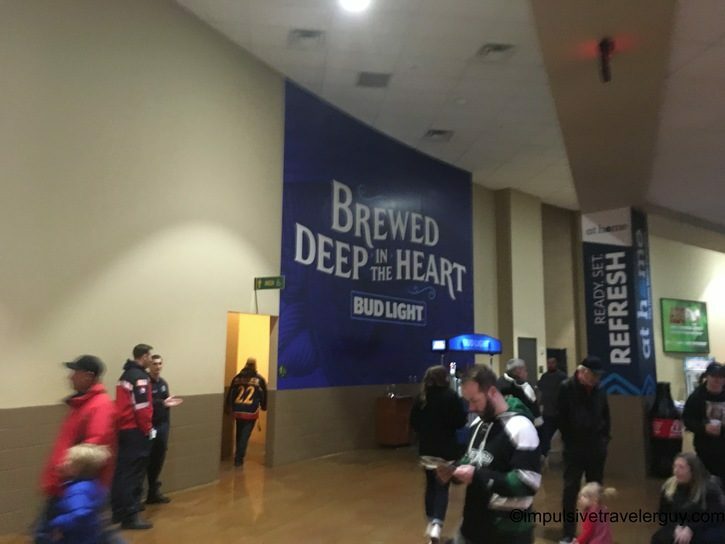 I’ve been to a Dallas Stars game before, but never the Texas Stars. 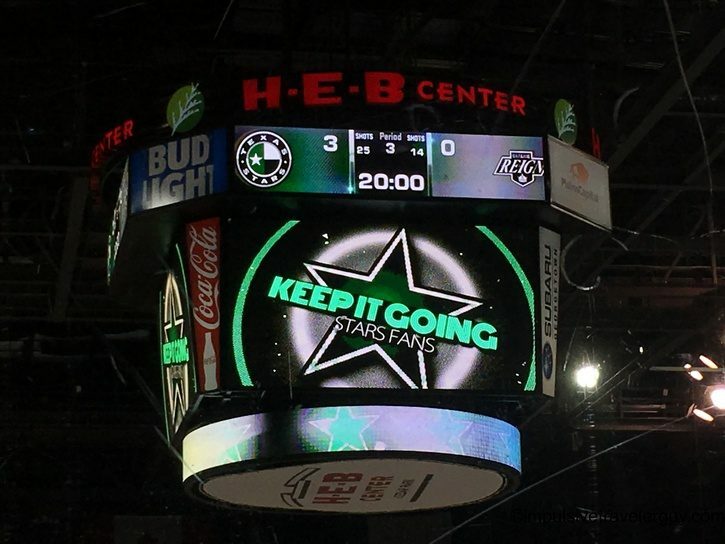 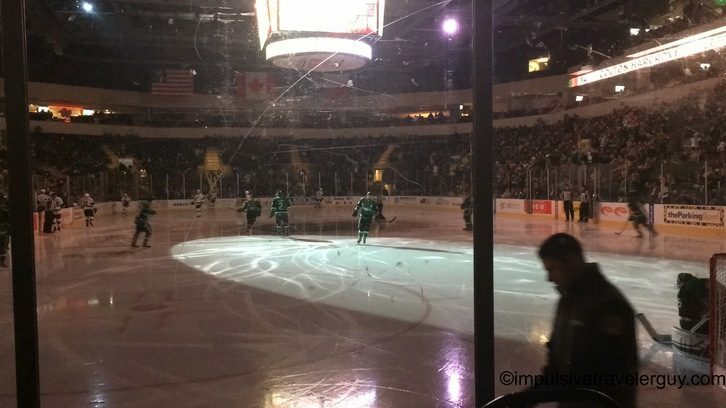 The Texas Stars are the farm team for the Dallas Stars. 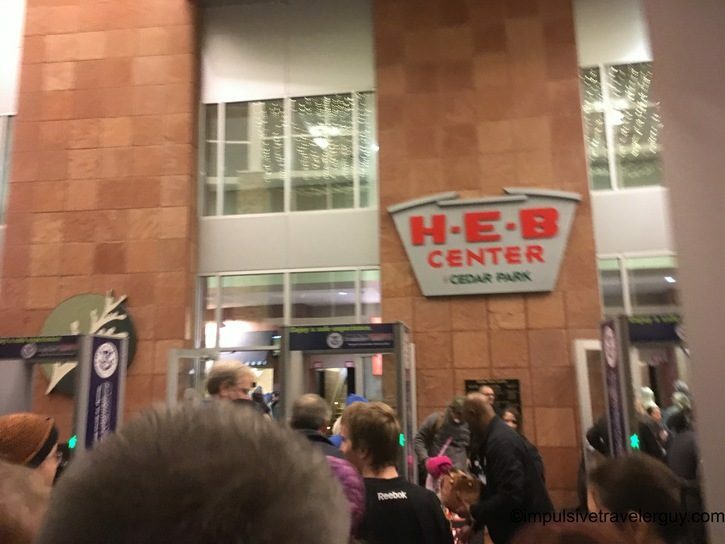 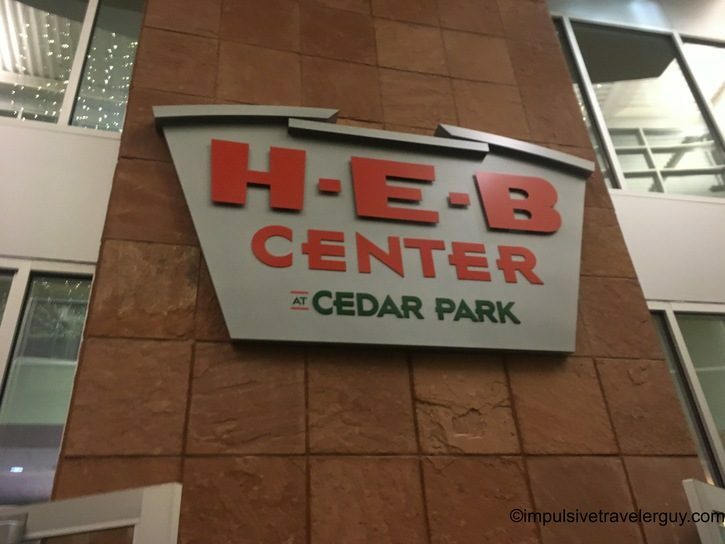 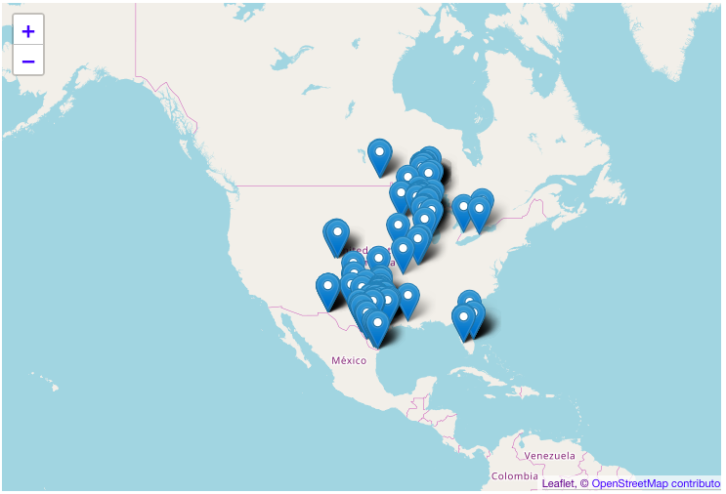 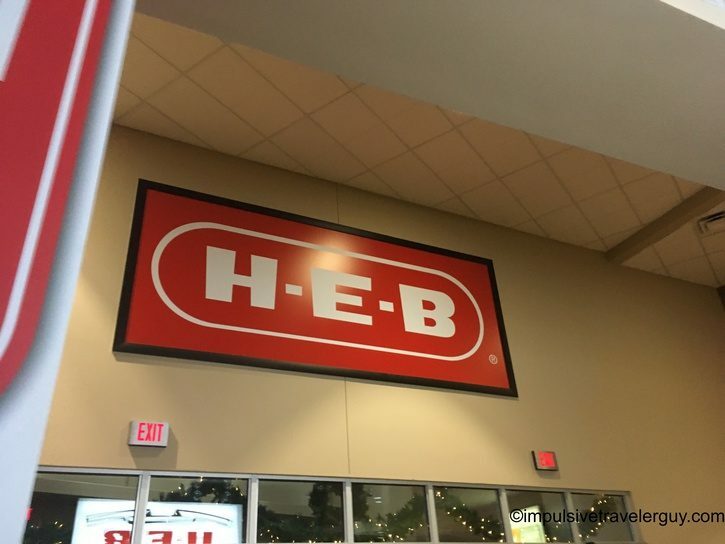 The great thing is they play right in Cedar Park, which is a suburb of Austin. 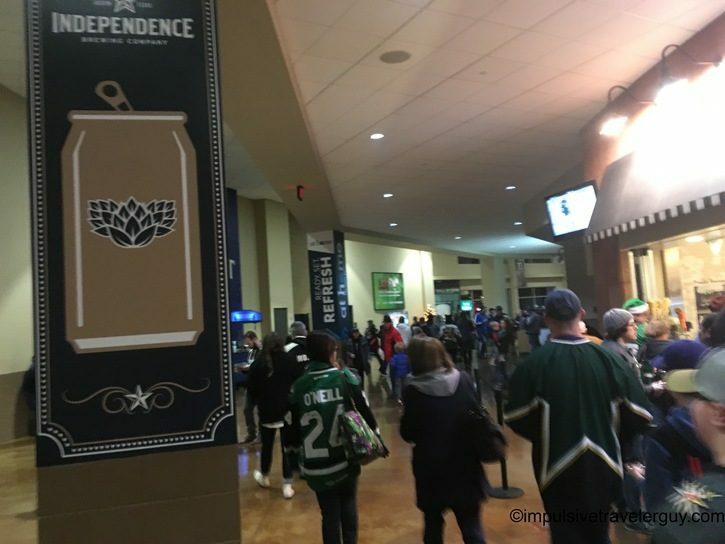 Victoria and I headed to the game and got parked. 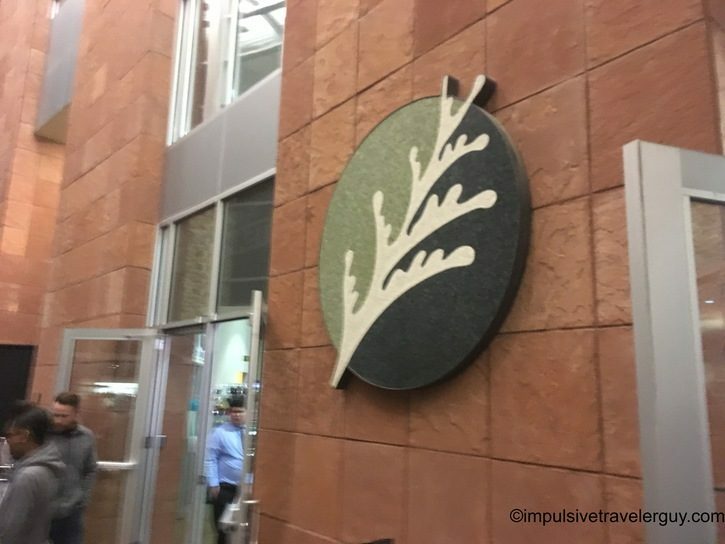 We made it through security and then walked inside. 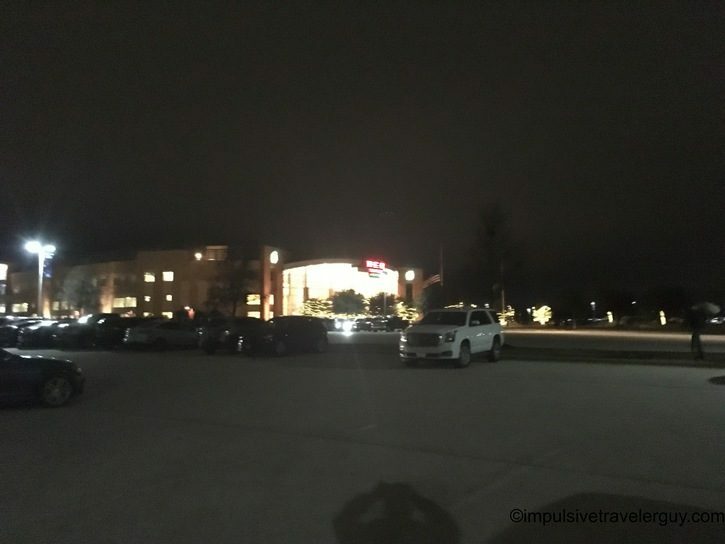 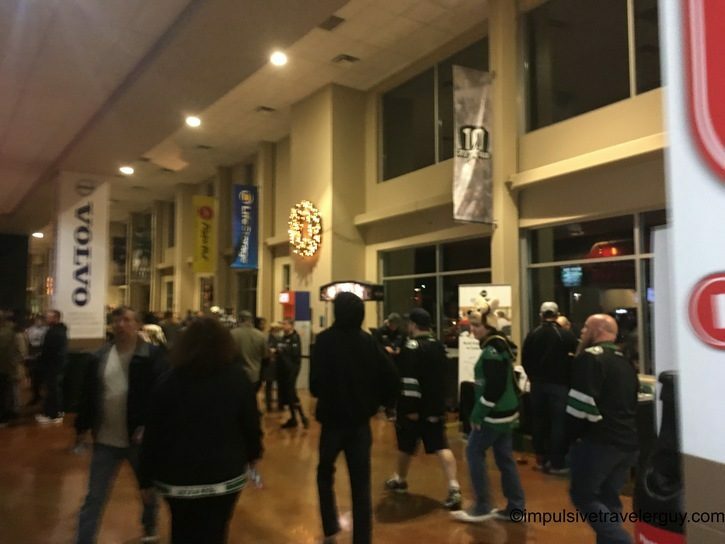 We ended up walking to the wrong end of the arena and had to walk the whole way back around. 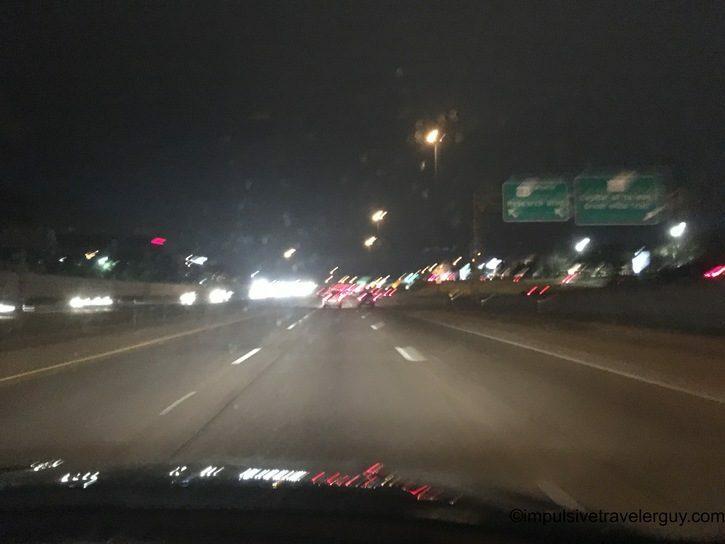 I didn’t mind since I could get some pictures along the way. 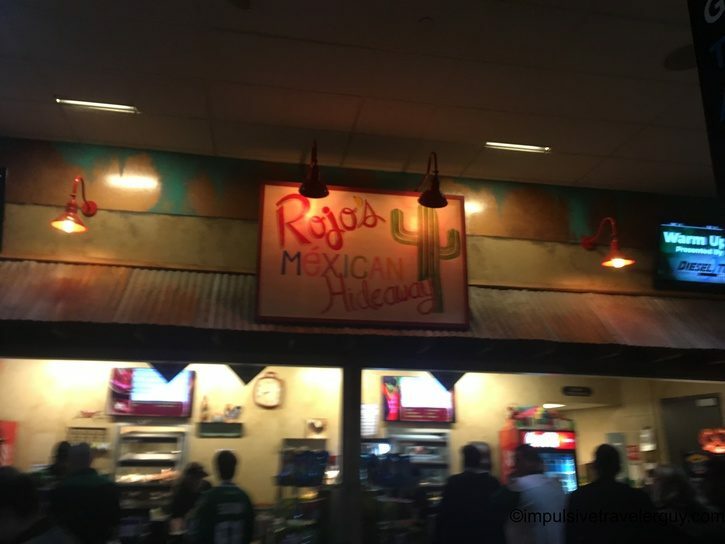 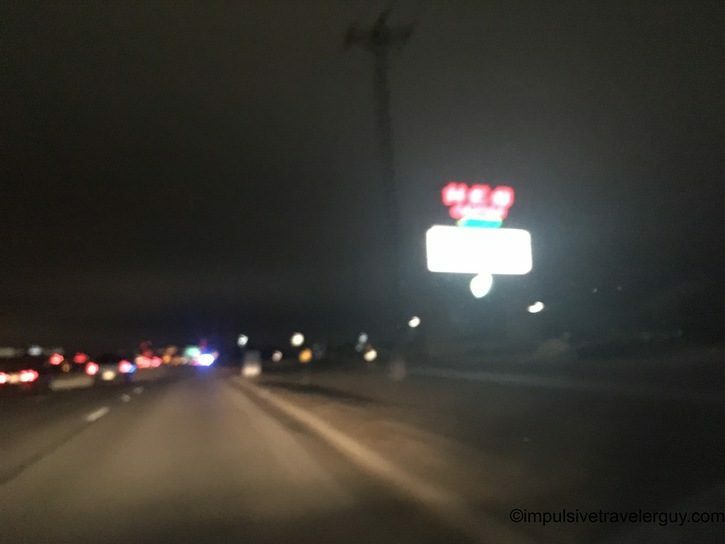 We were hungry so we stopped by Rojo’s Mexican Hideaway. 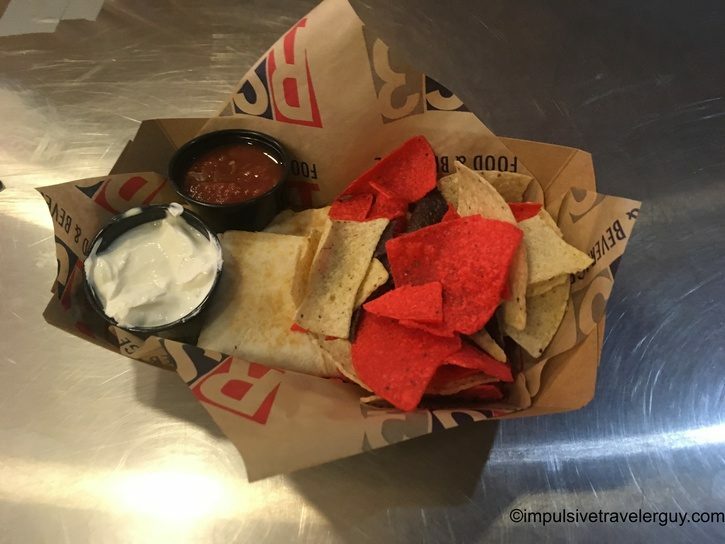 Victoria got a quesadilla. 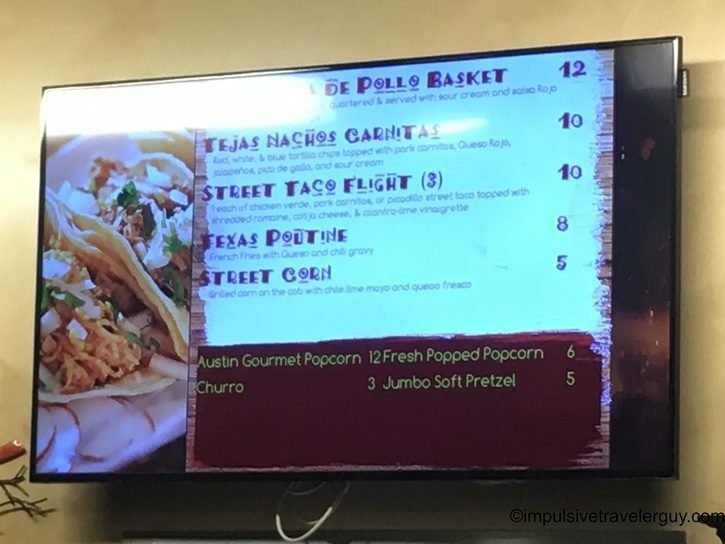 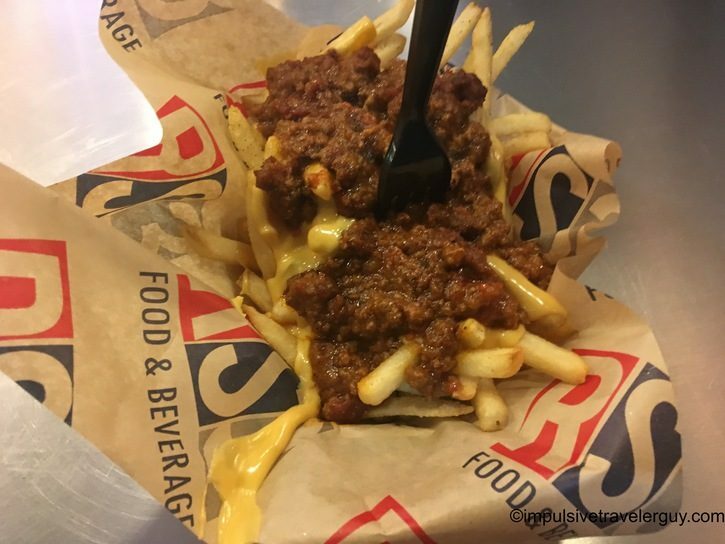 I got what caught my eye, Texas Poutine. 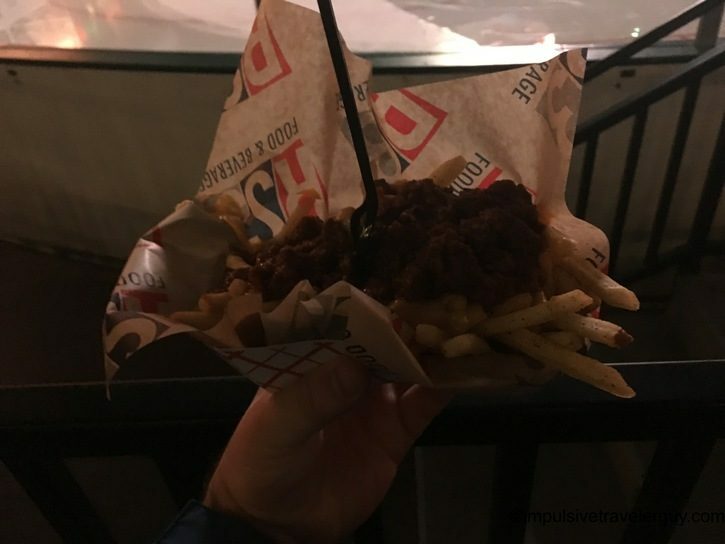 I mean poutine is big in Canada and so is hockey so it only seemed appropriate! 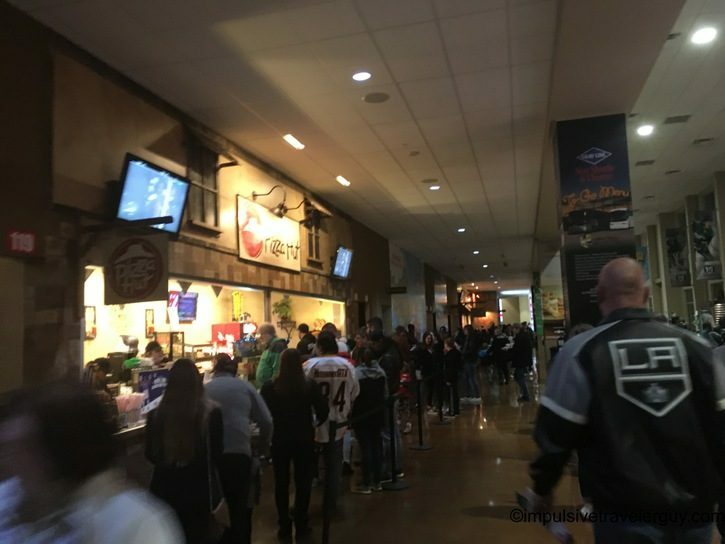 The funny thing is Victoria thought the Ontario Reign was a Canadian team, but we found out they were from Ontario, California. 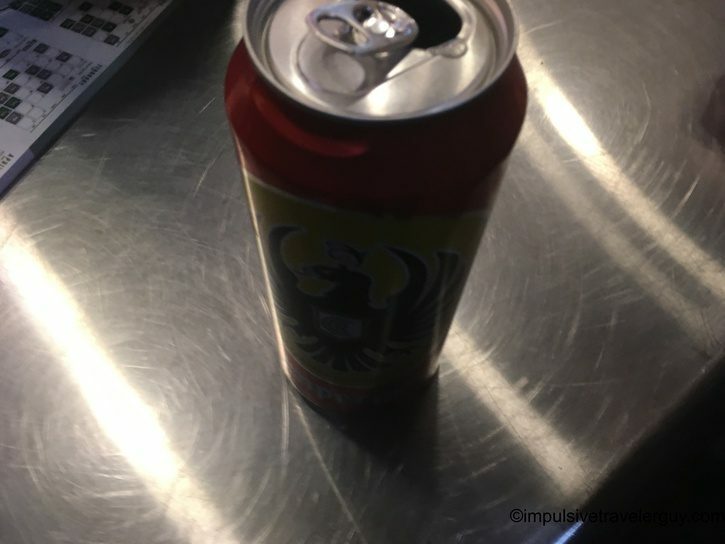 I also got a beer to wash things down. 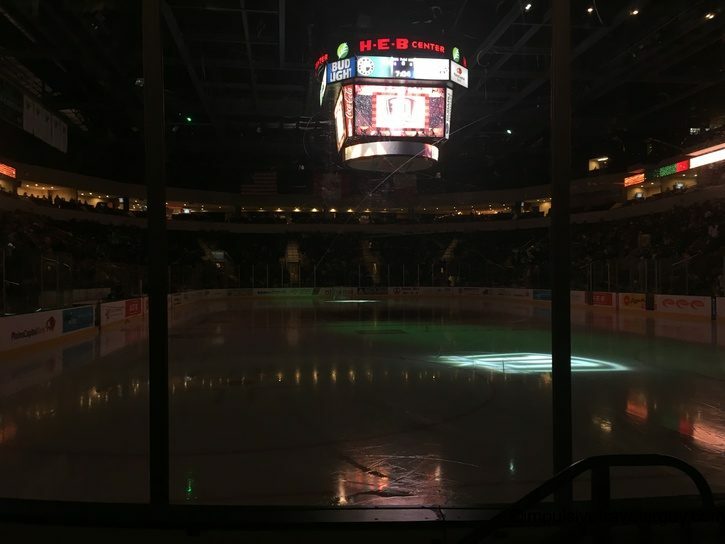 We went to our seats. 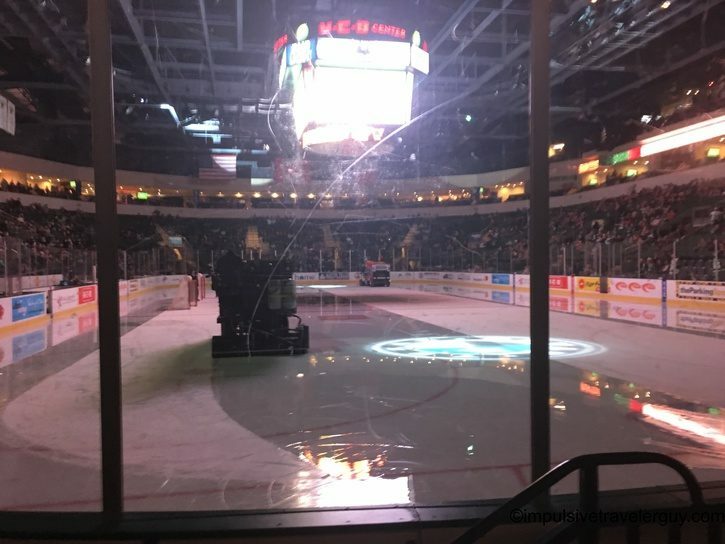 It was amazing since we were front row right by the glass! 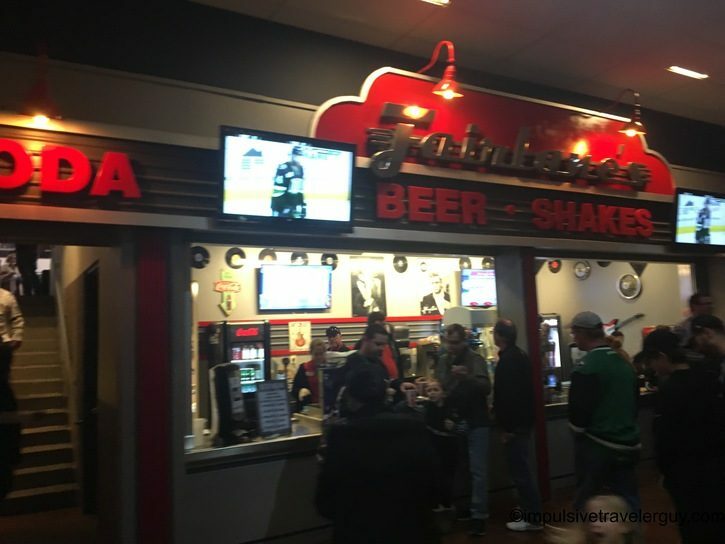 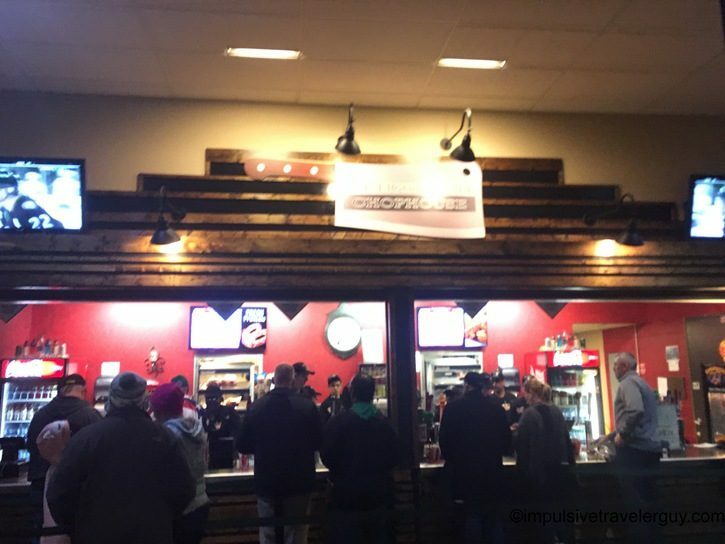 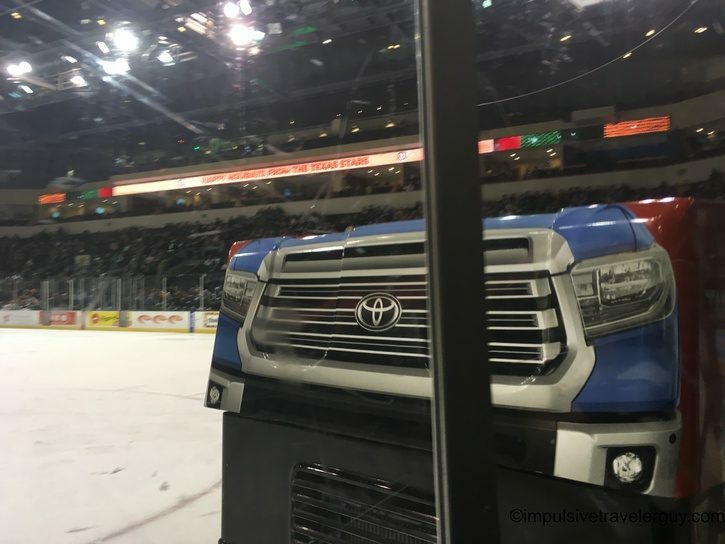 I watched the Zambonis go as I ate my Texas Poutine. 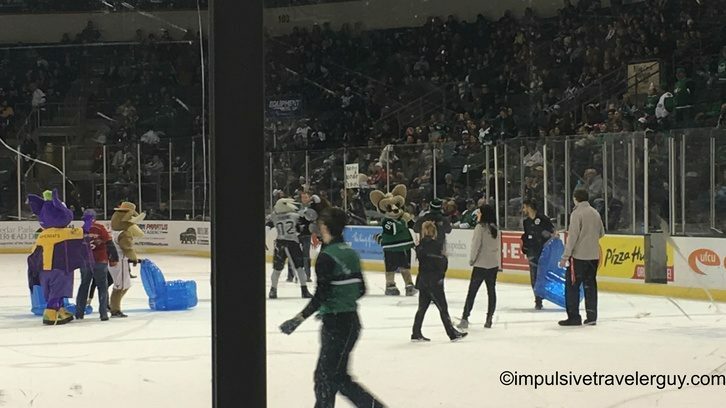 Soon the refs and teams came on the ice. 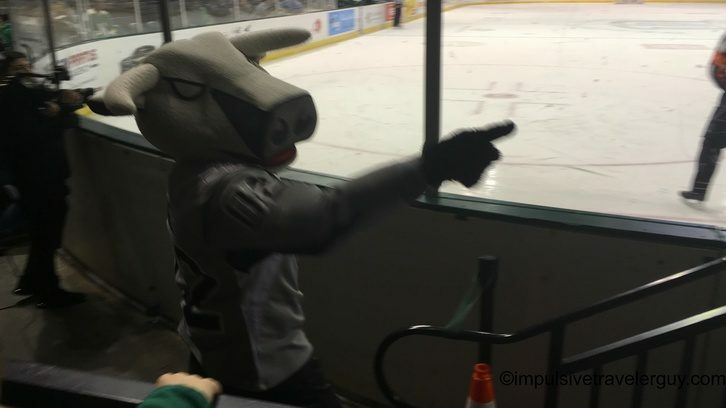 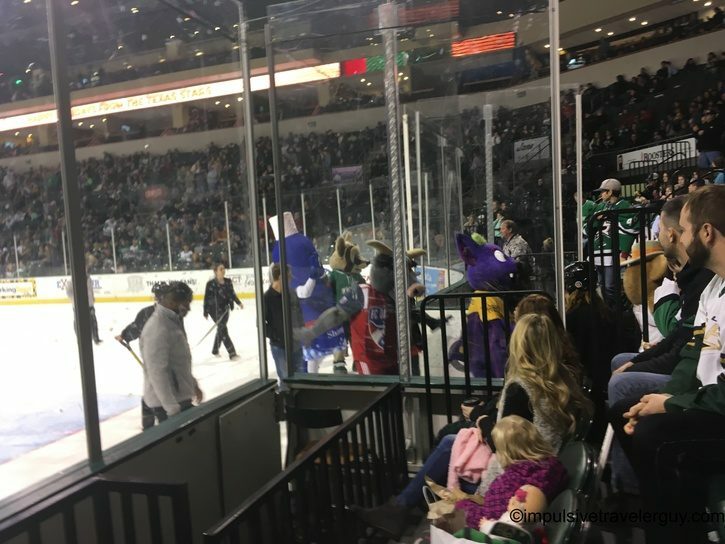 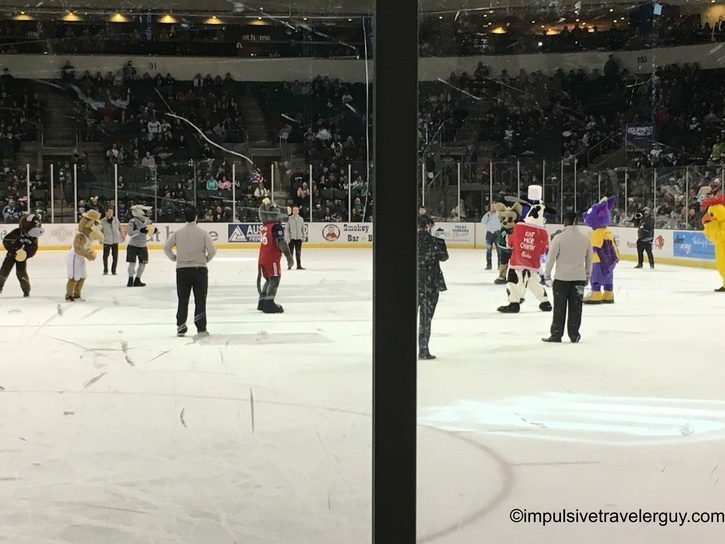 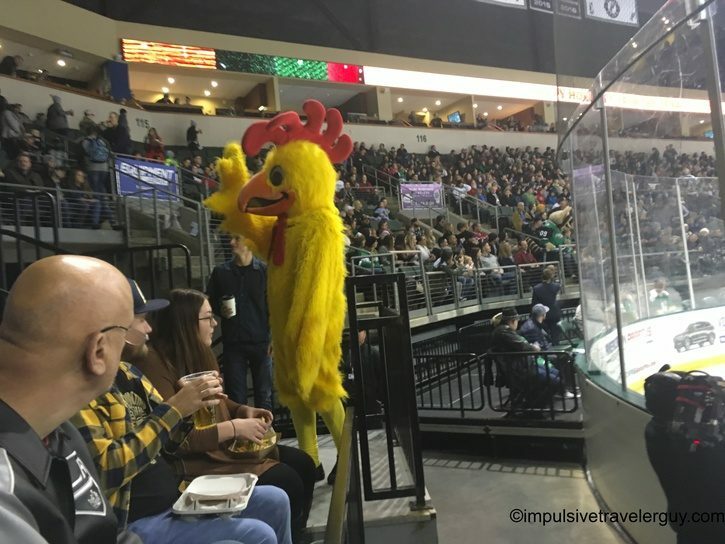 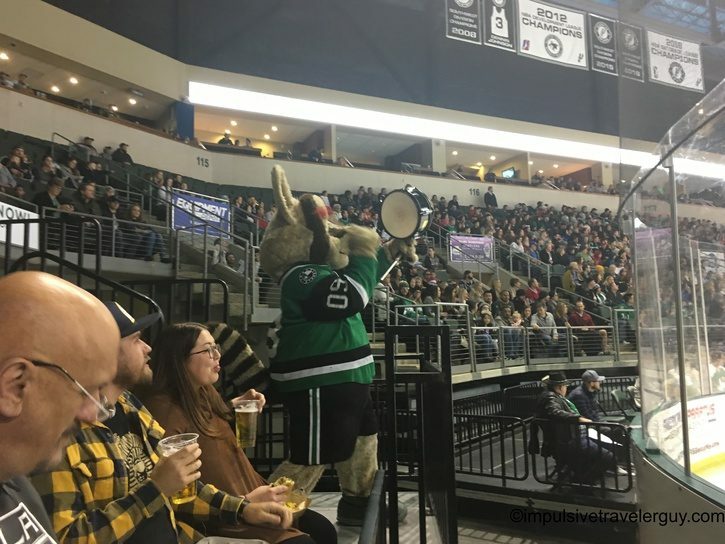 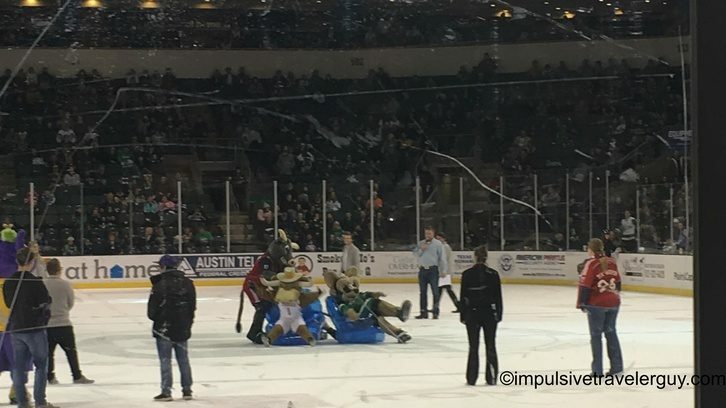 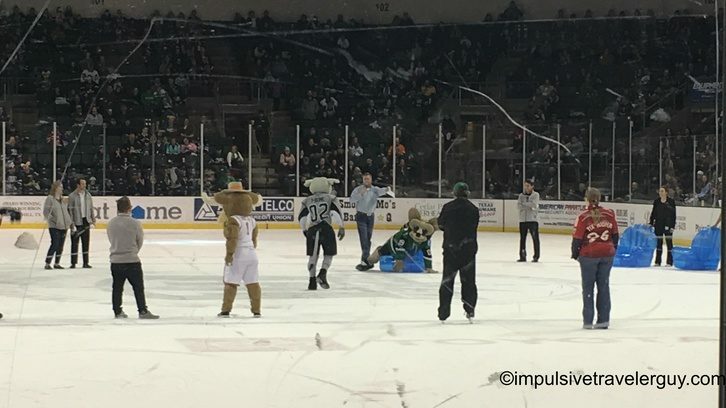 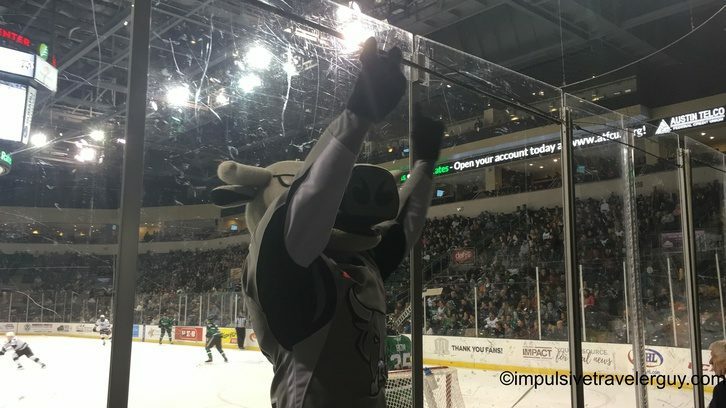 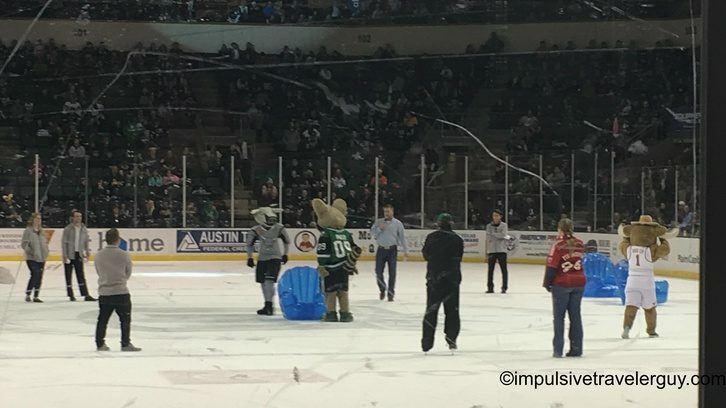 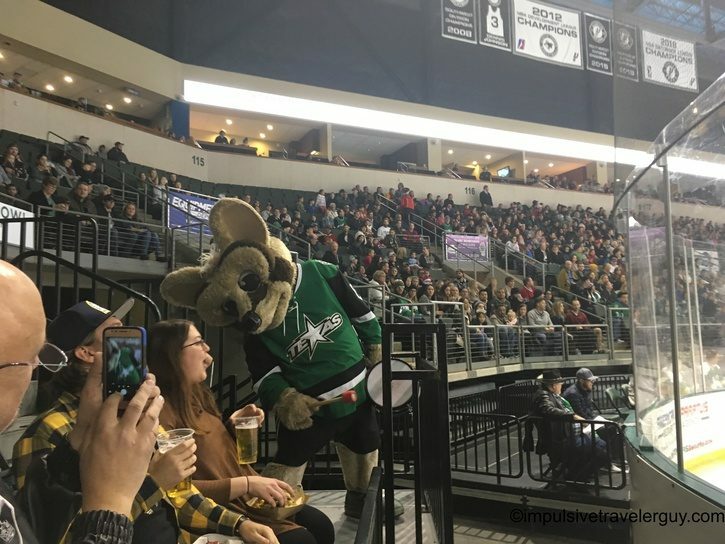 Ringo, the Texas Stars mascot came by to get the crowd going. 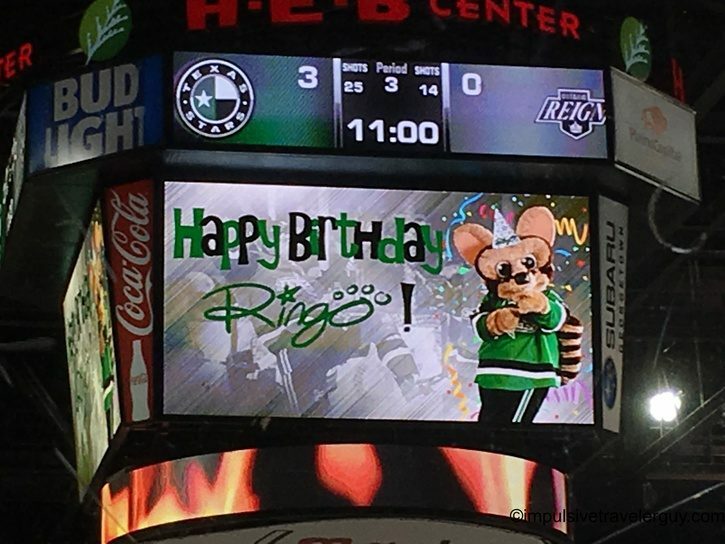 It was Ringo’s birthday so a bunch of other local mascots were there to wish him a happy birthday. 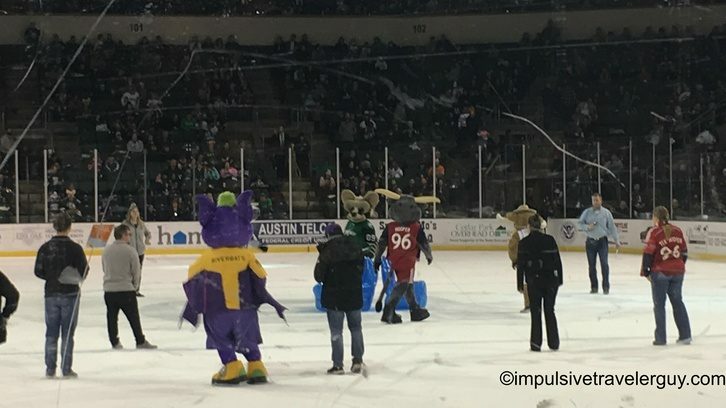 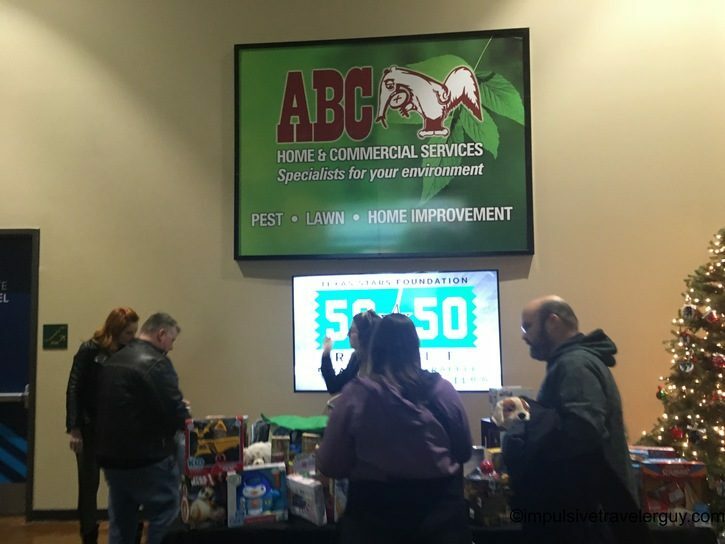 The game kept going until intermission. 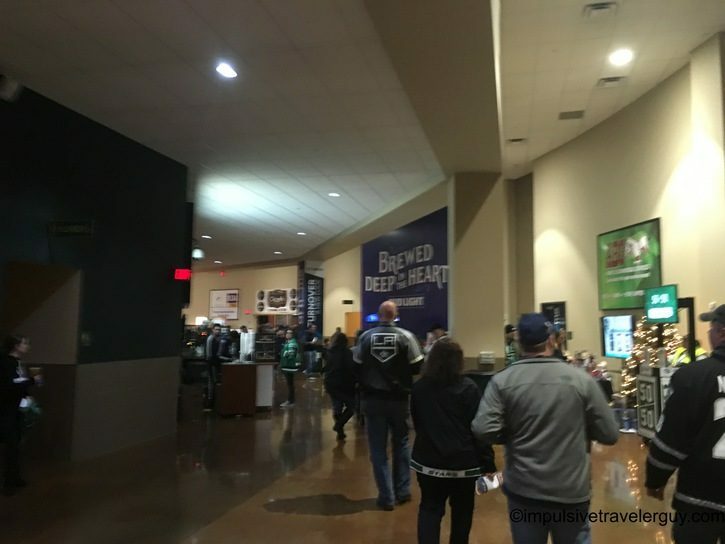 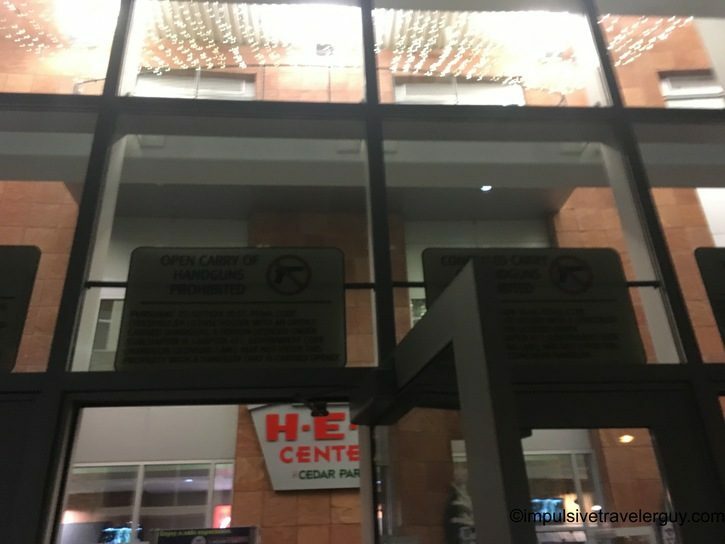 I had to go to the bathroom and got another beer. 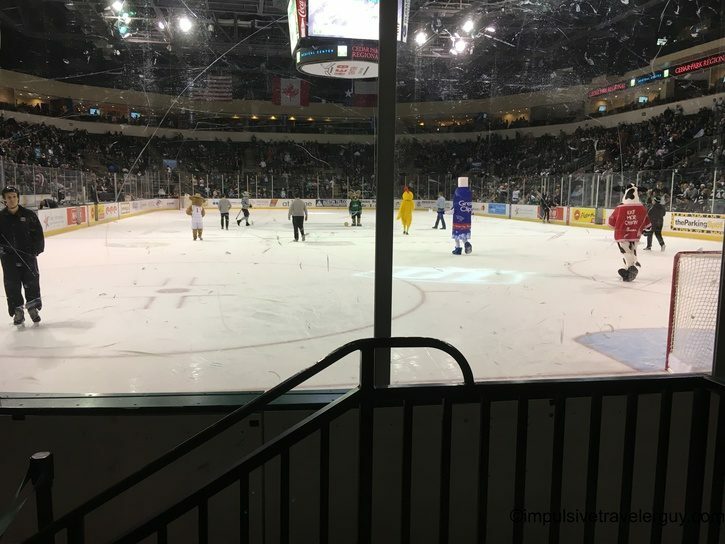 Victoria took a few pictures in between when the mascots were playing dodgeball. 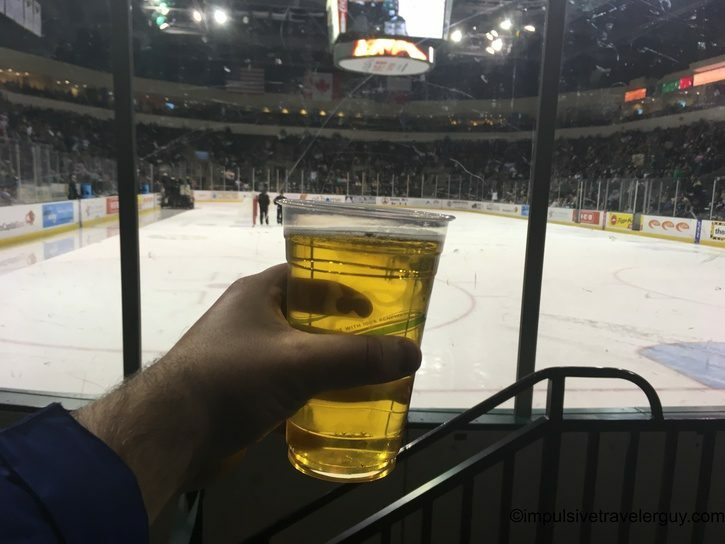 I came back just in time to enjoy my beer. 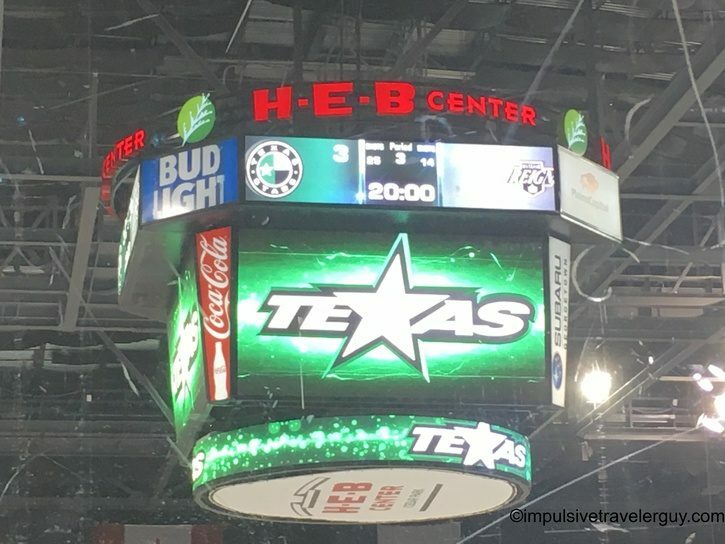 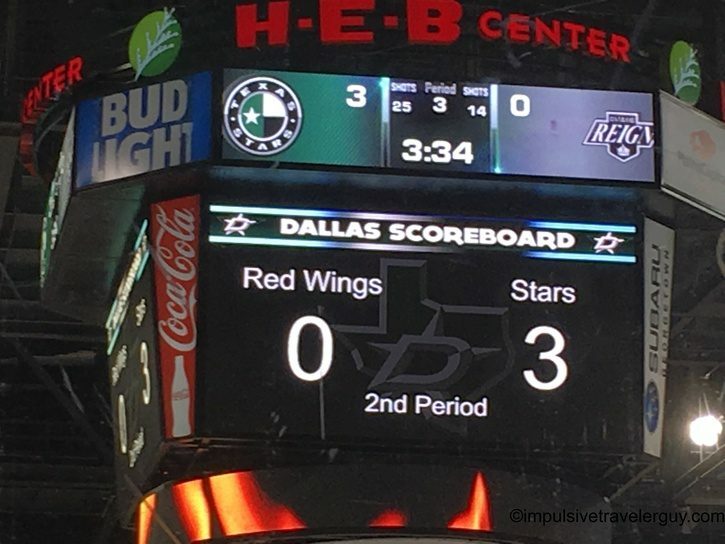 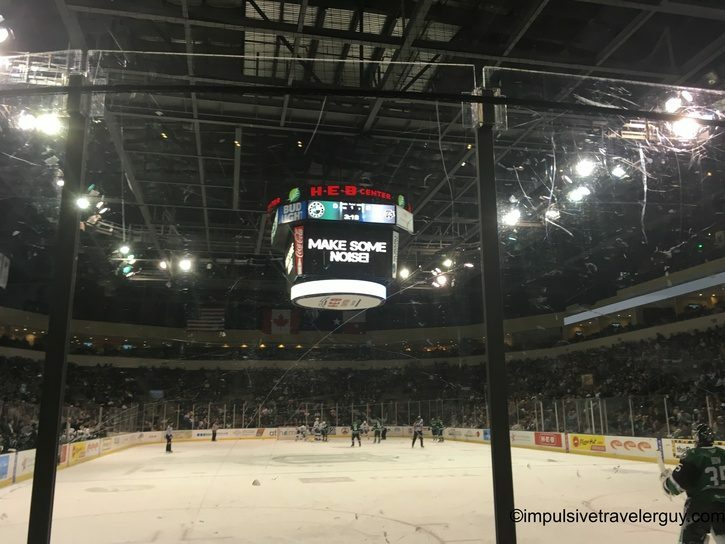 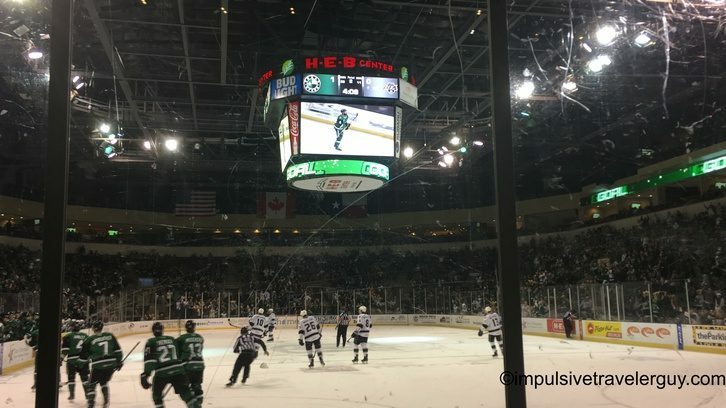 The Texas Stars and Dallas Stars had the same scores! 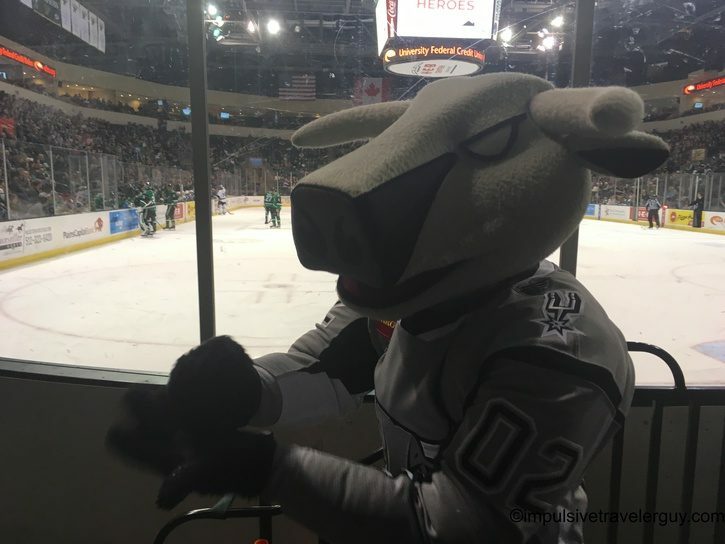 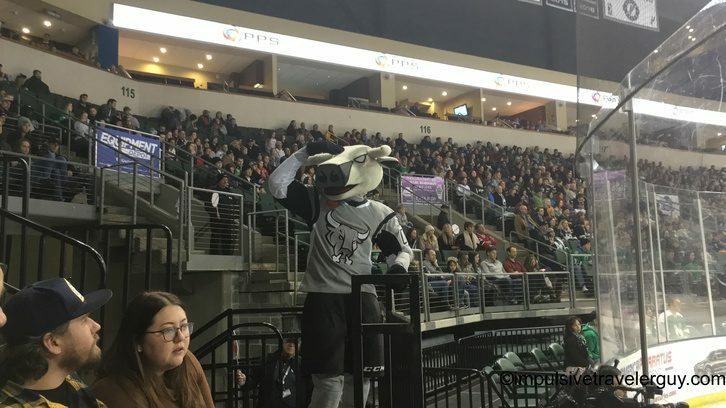 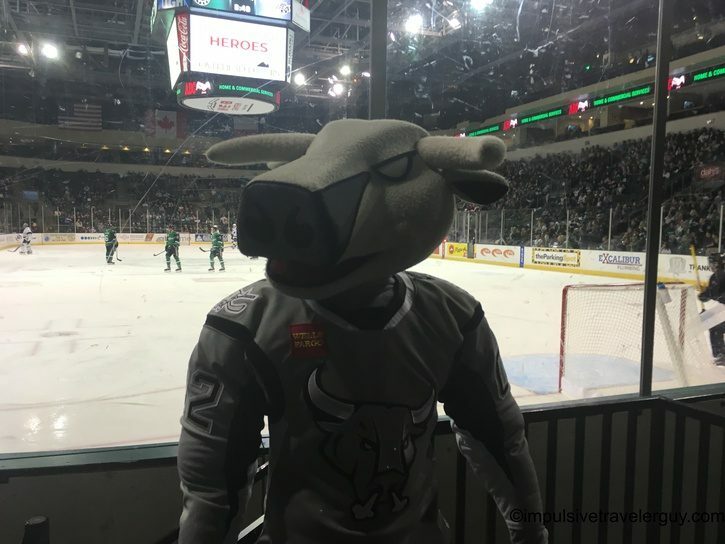 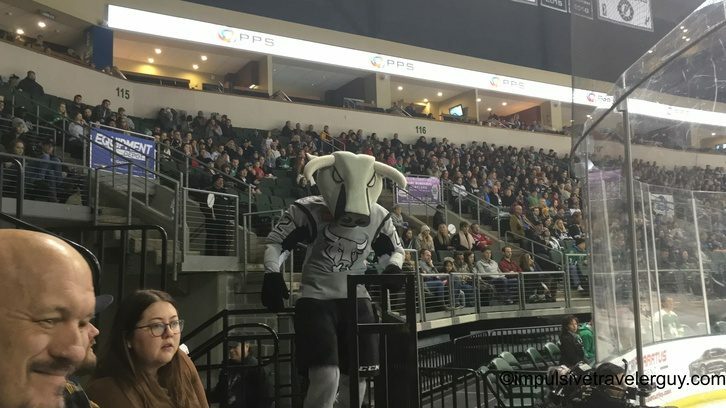 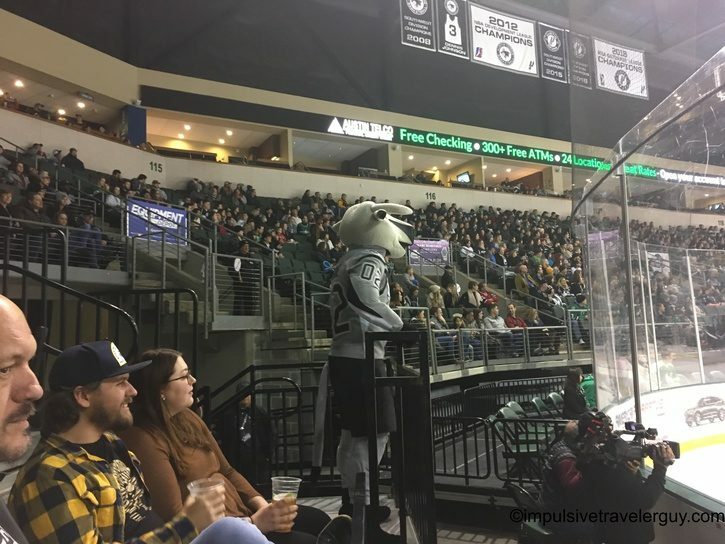 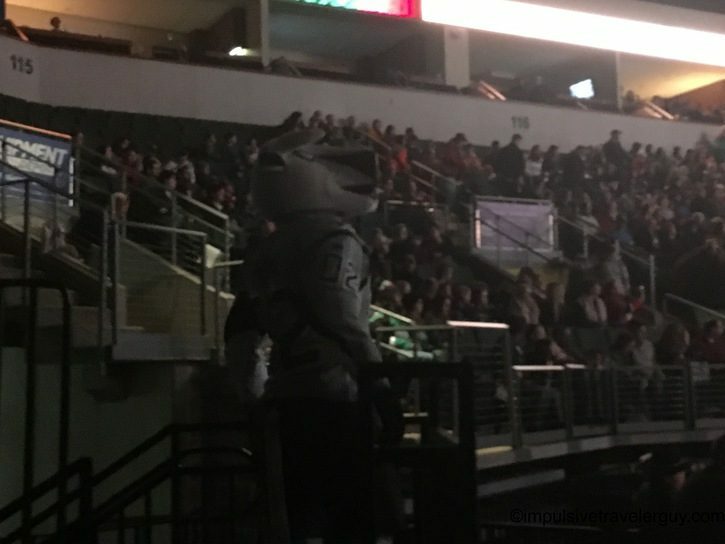 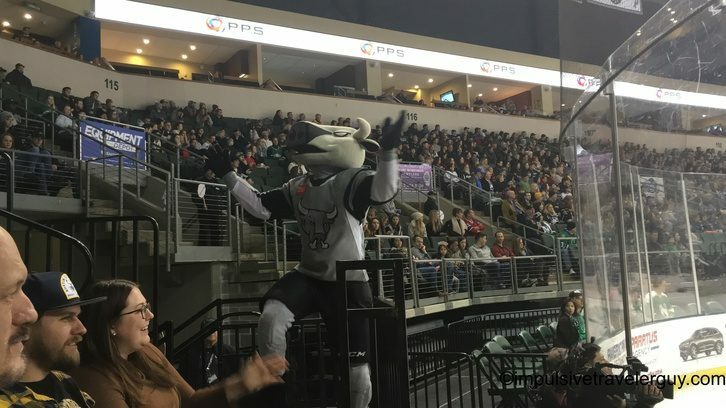 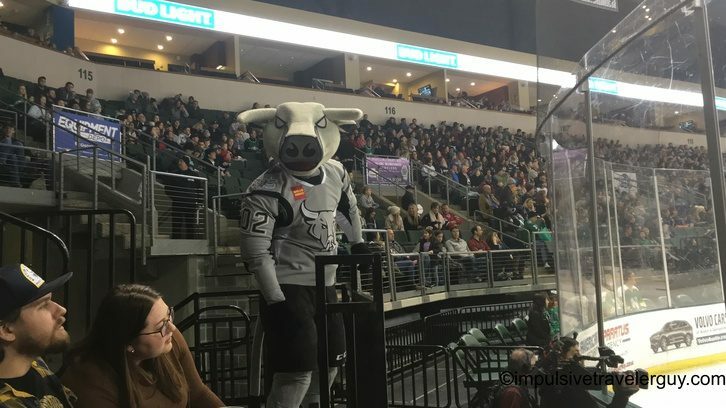 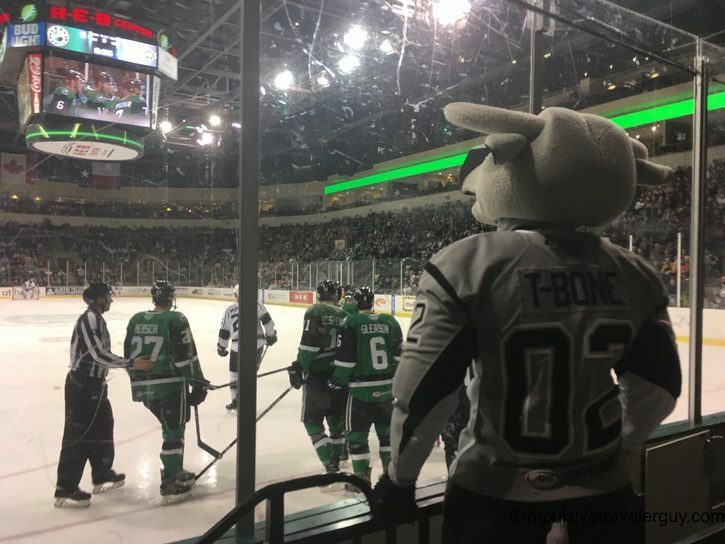 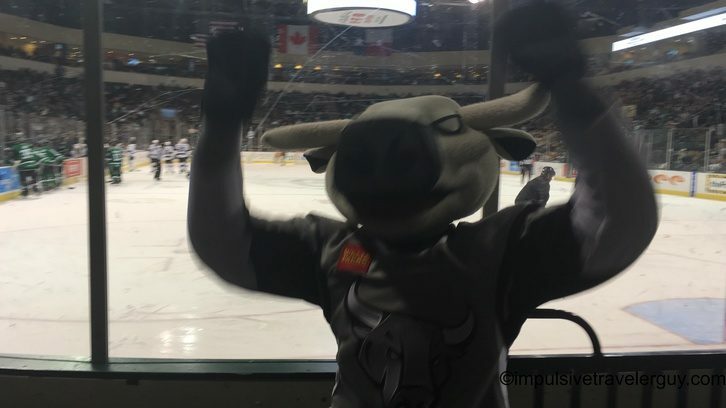 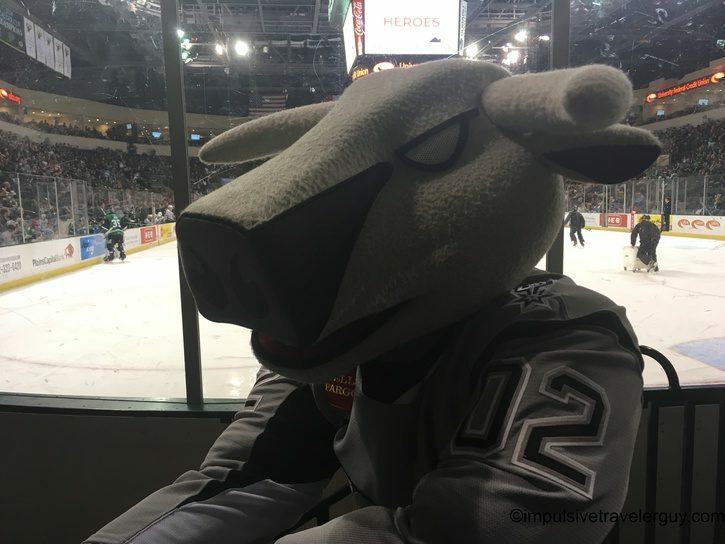 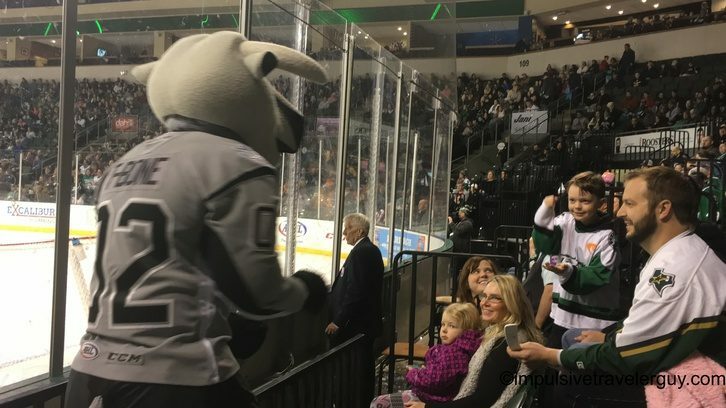 T-Bone from the San Antonio Rampage was in attendance for Ringo’s birthday. 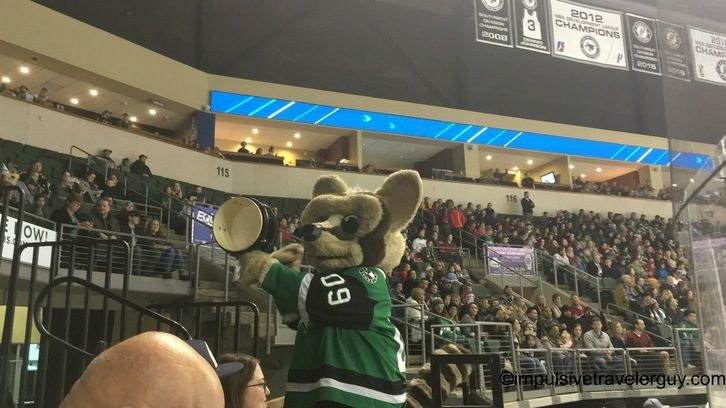 He did a heck of a job getting the crowd going to cheer on a fellow Texas team and was very entertaining while doing it. 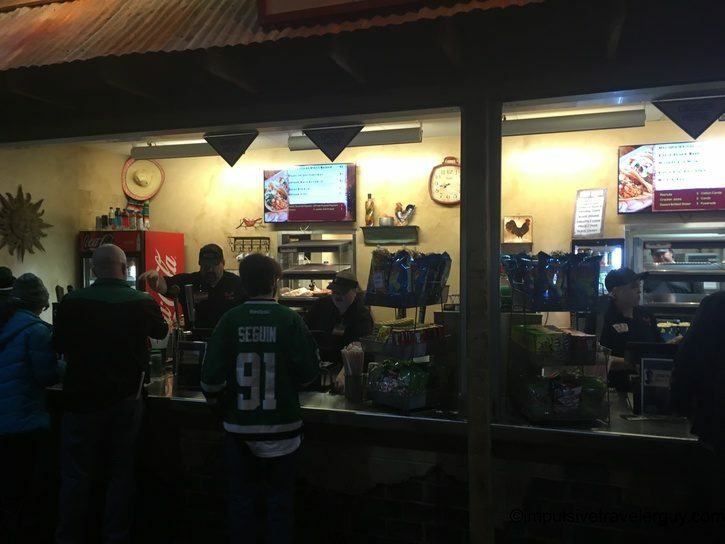 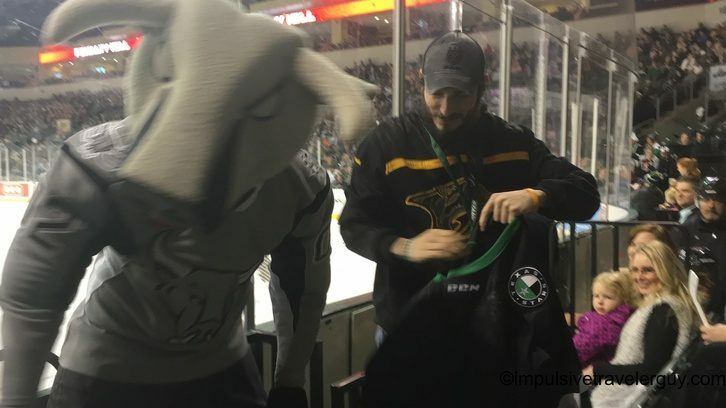 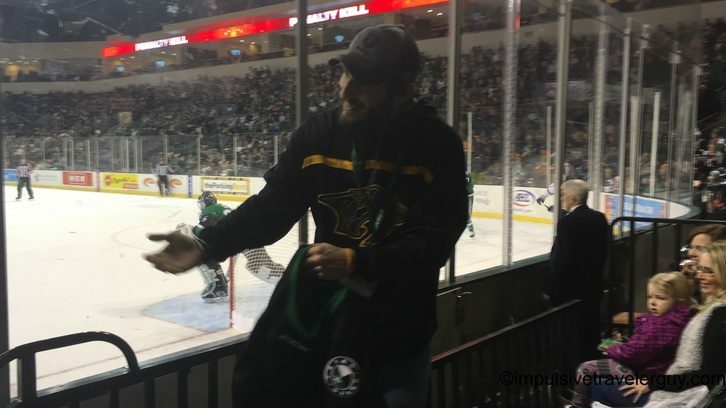 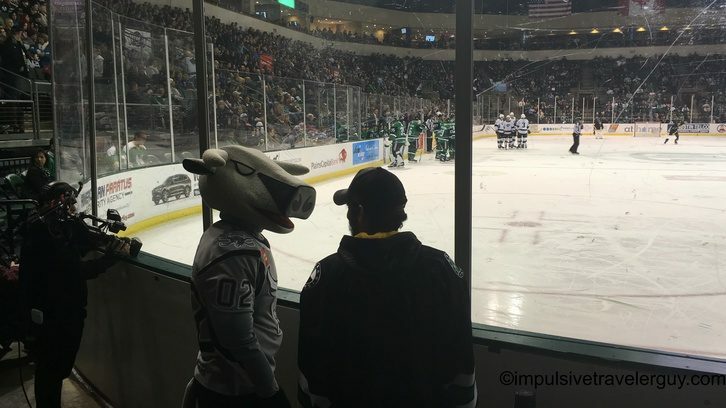 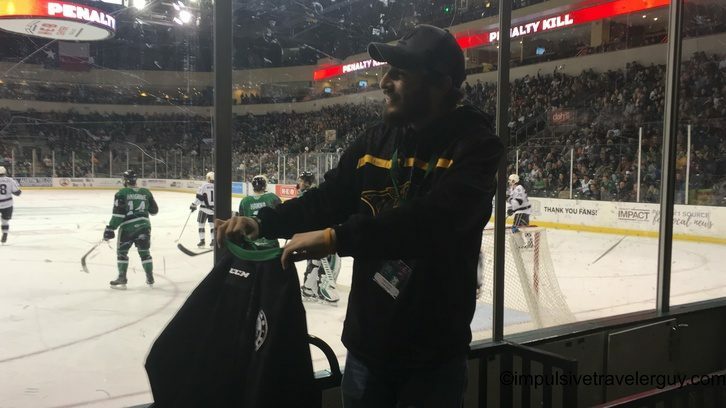 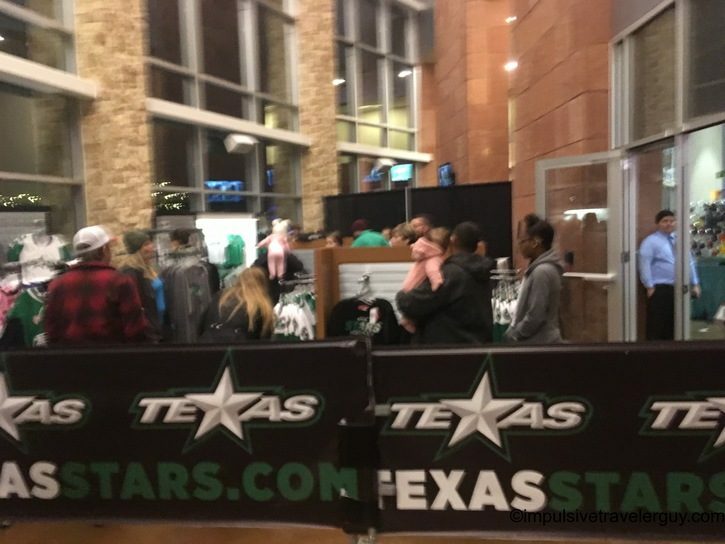 A Stars fan tried to get T-Bone to wear a Stars jersey. 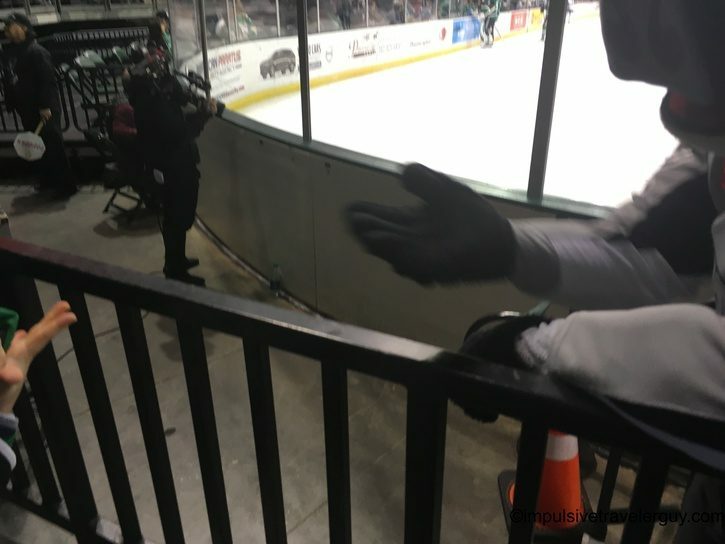 That didn’t go too well. 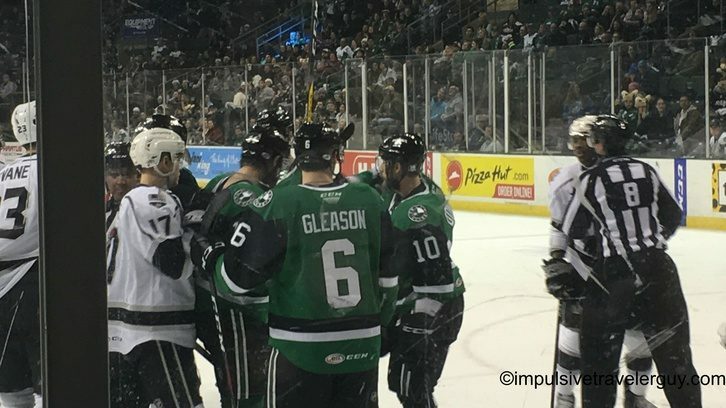 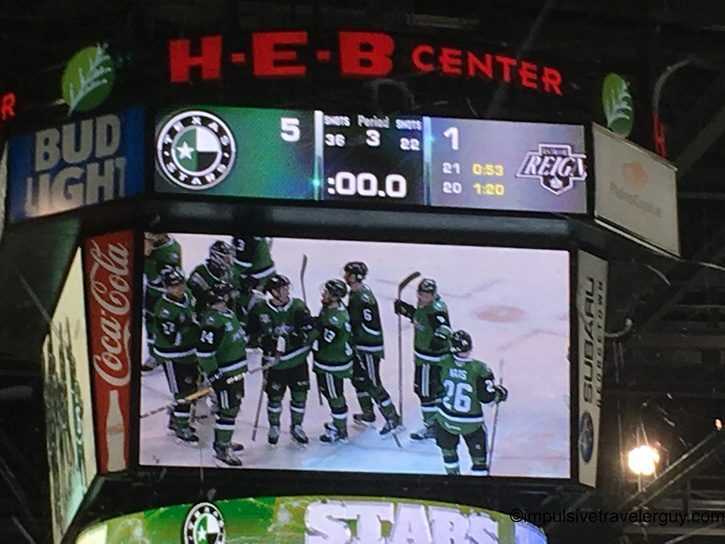 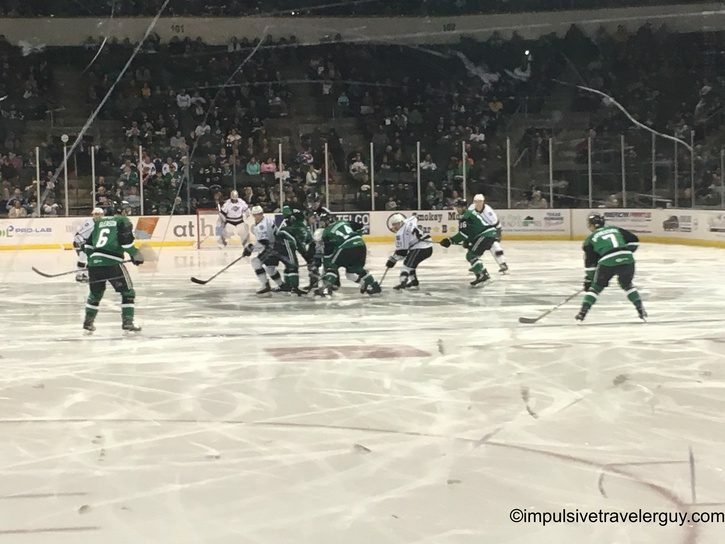 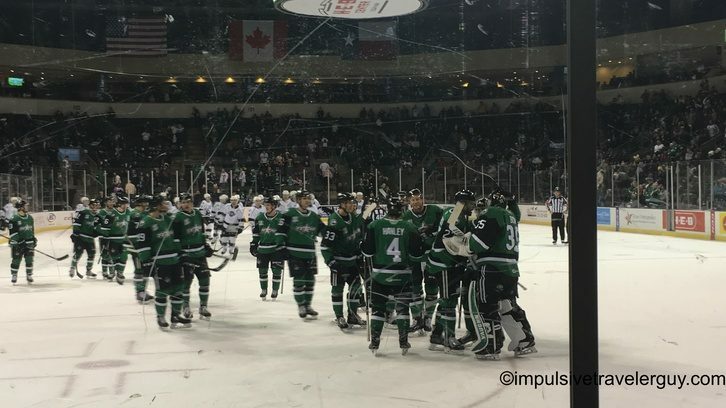 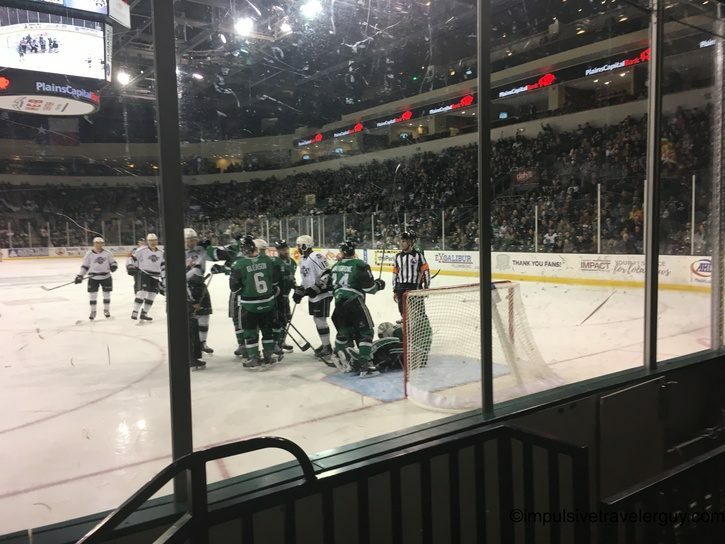 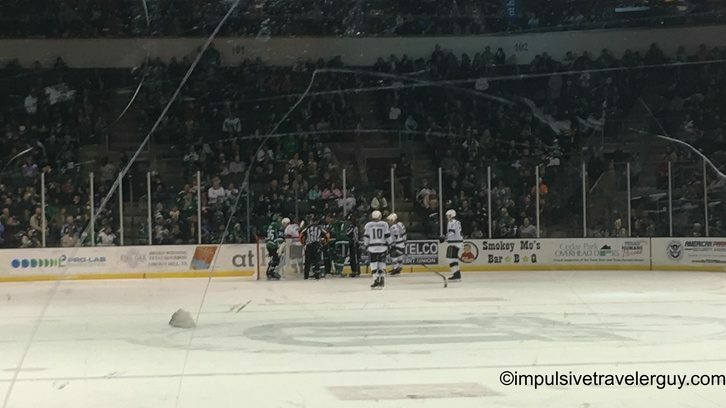 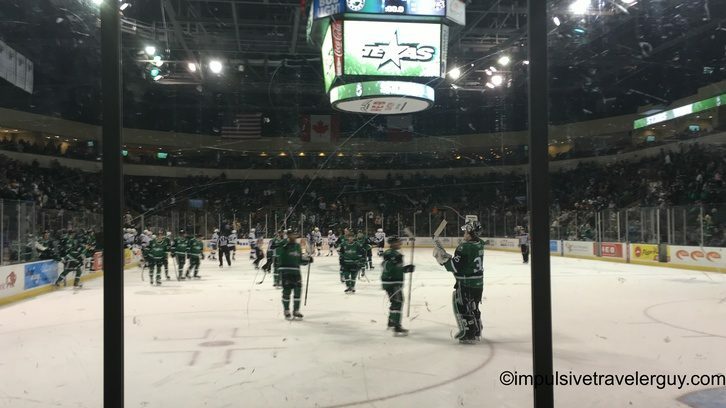 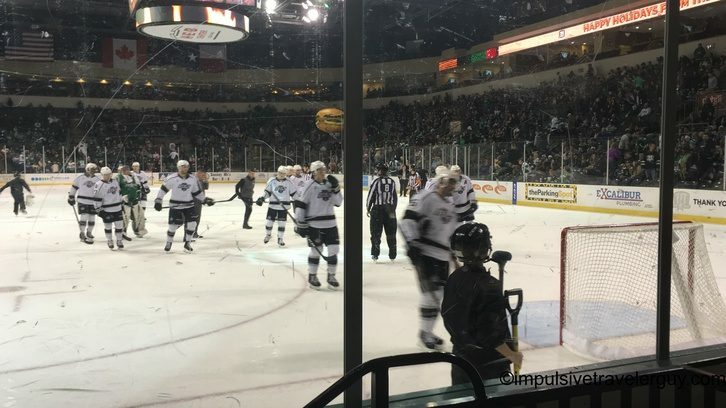 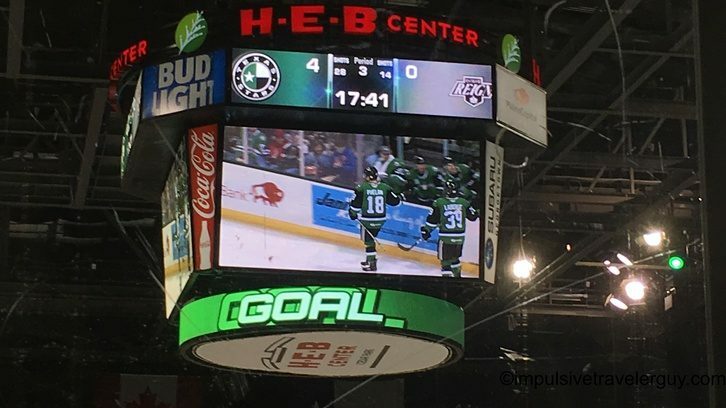 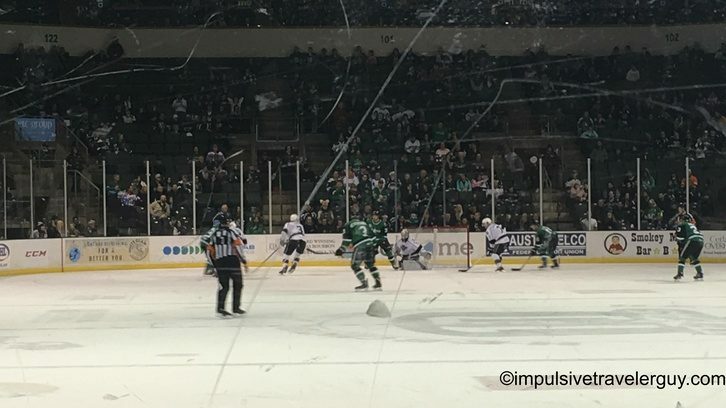 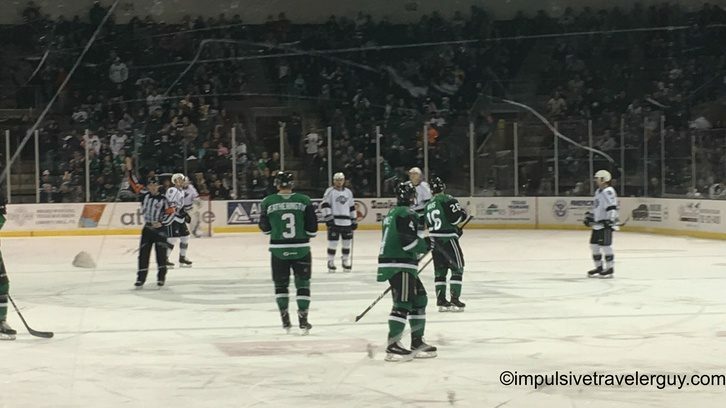 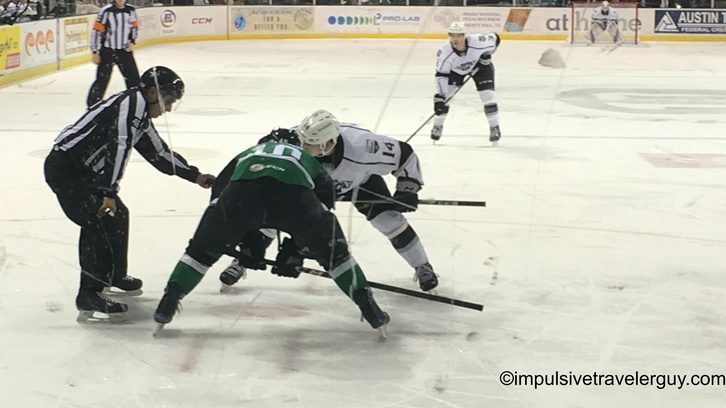 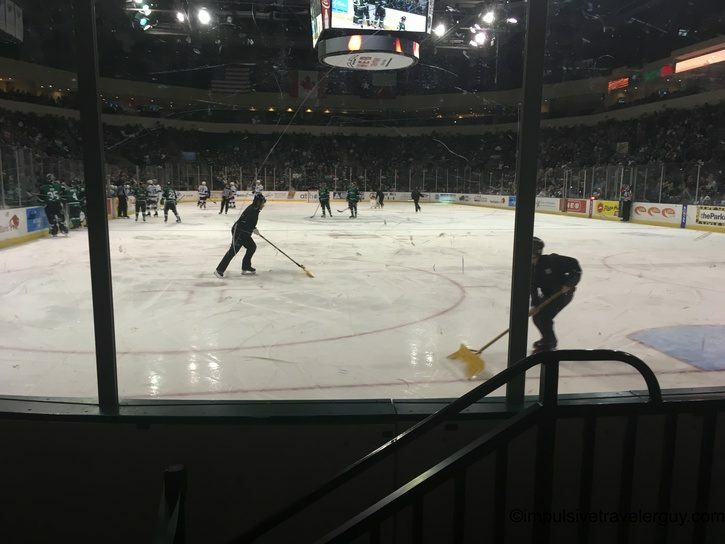 The Stars ultimately won 5-1. 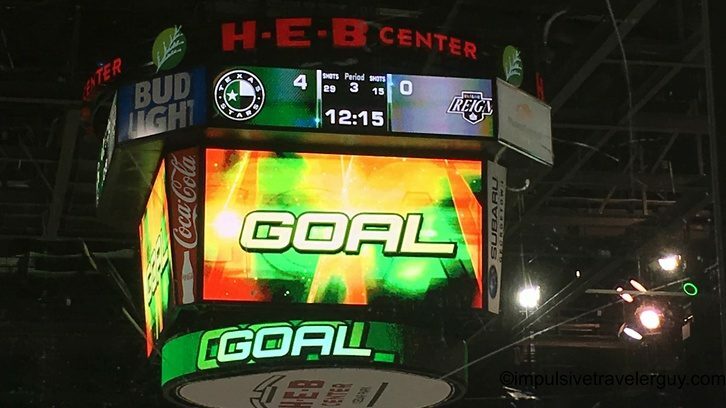 It was constant goal after goal after goal! 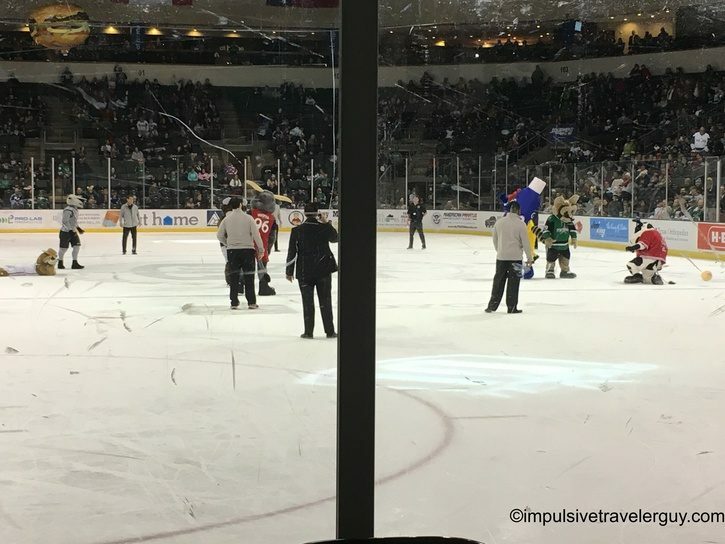 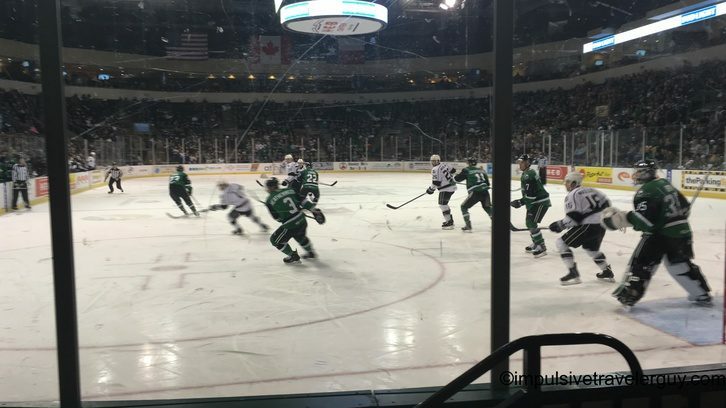 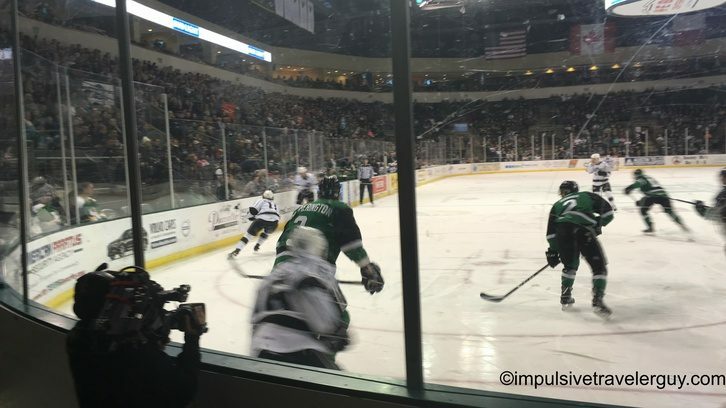 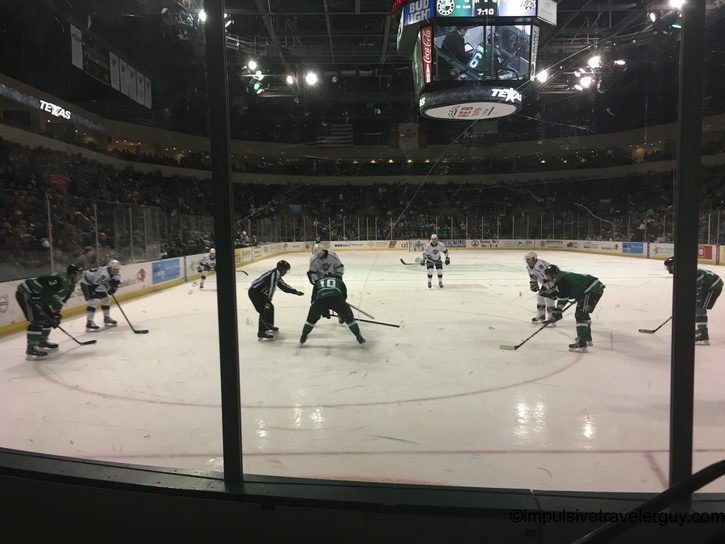 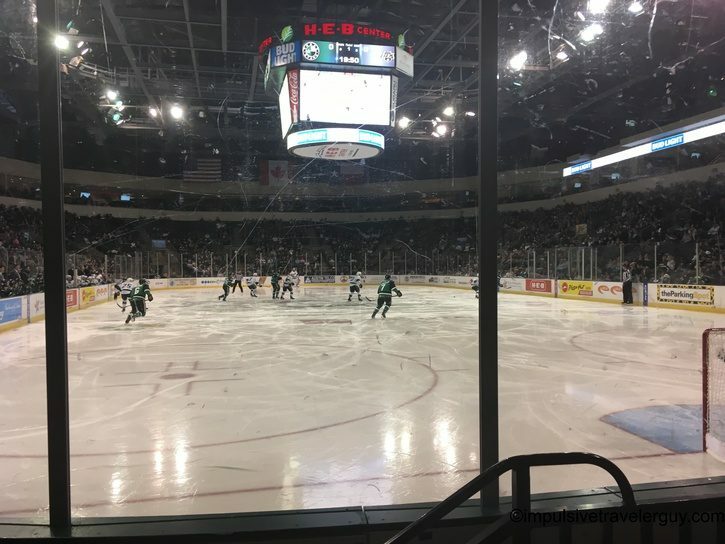 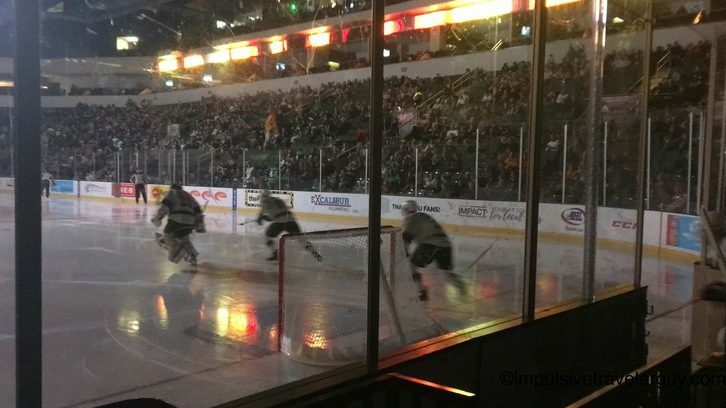 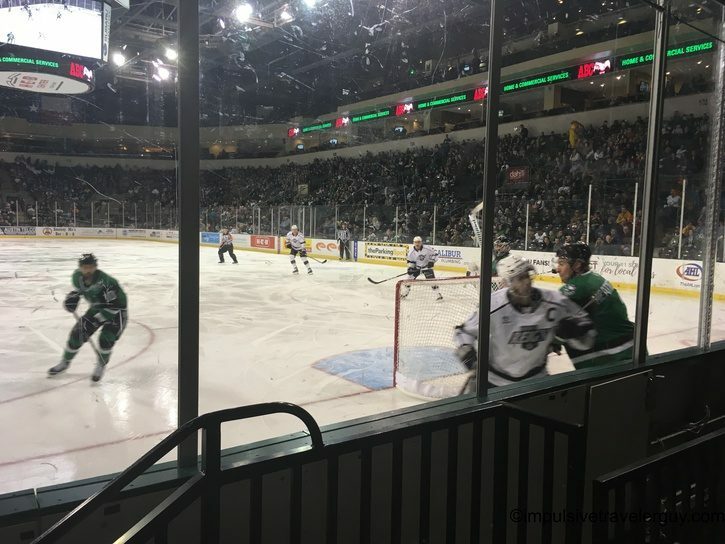 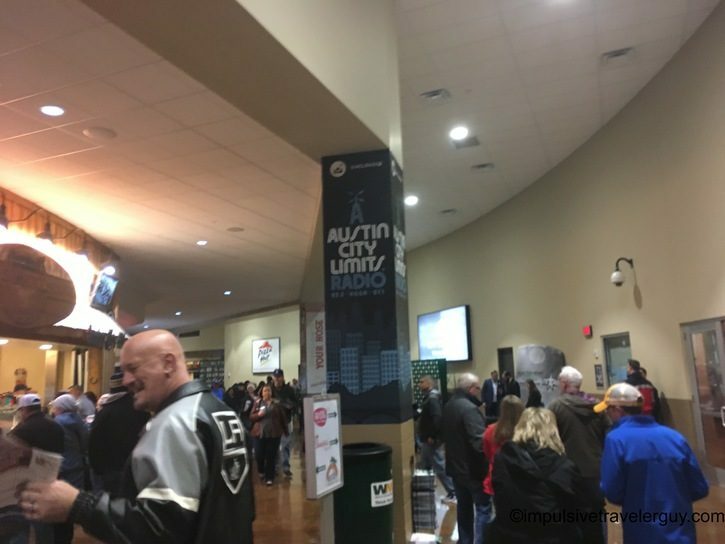 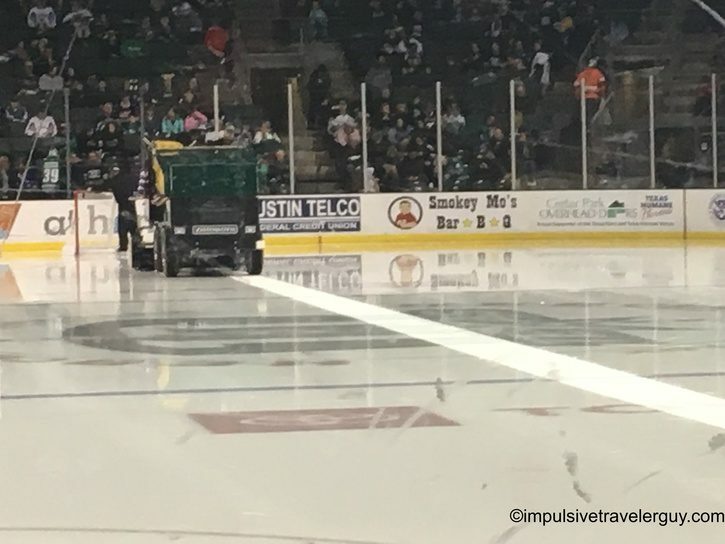 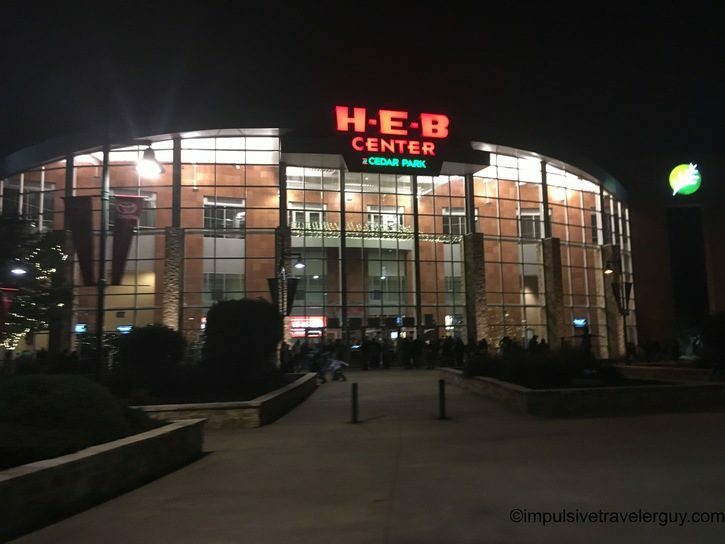 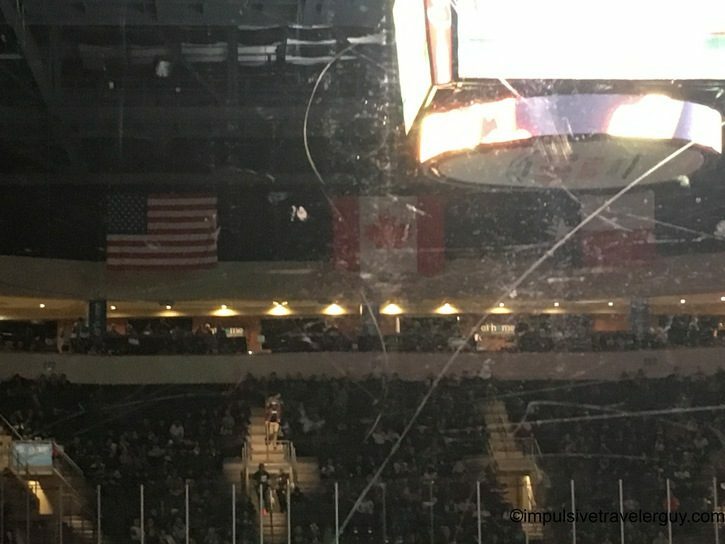 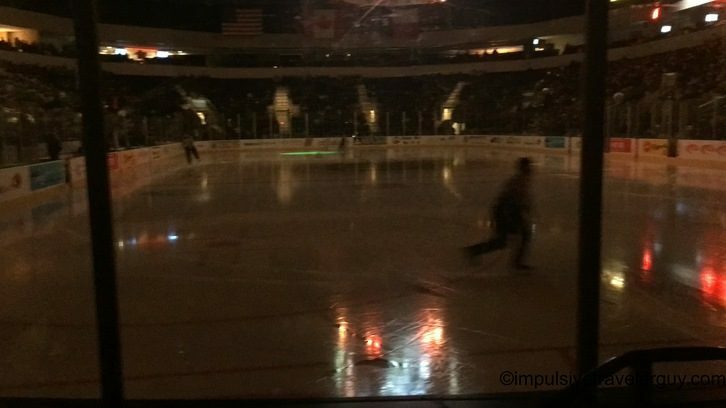 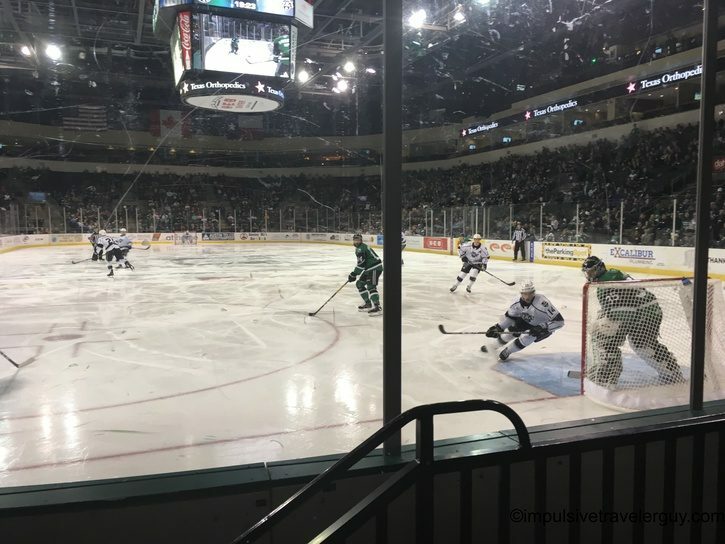 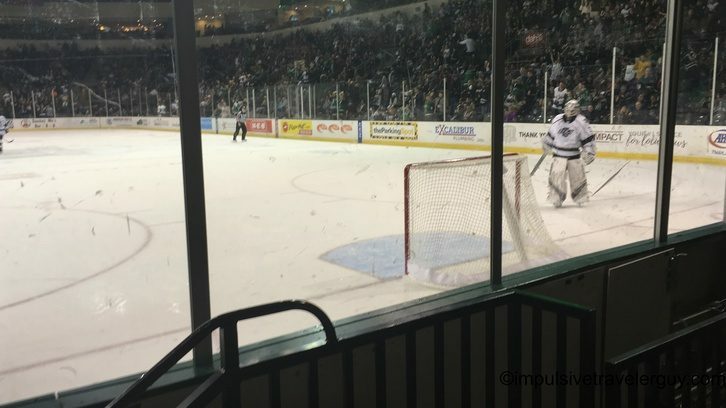 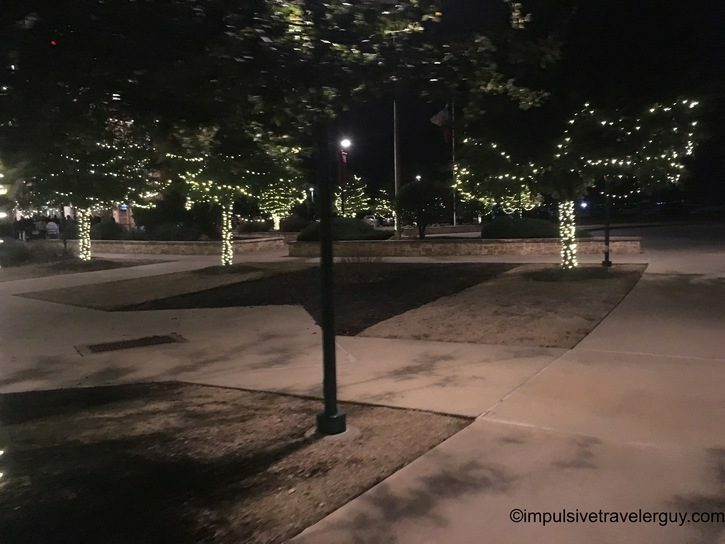 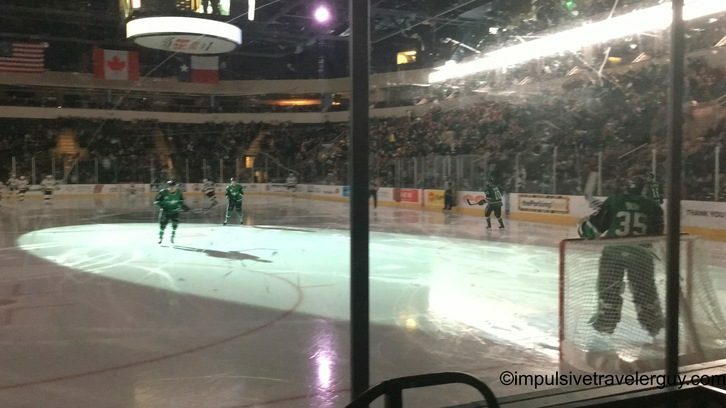 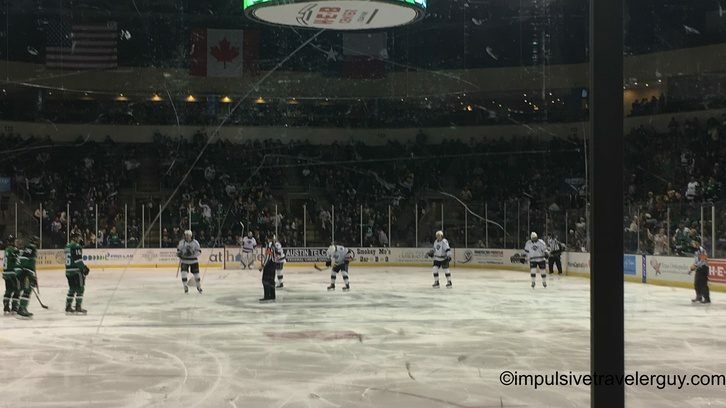 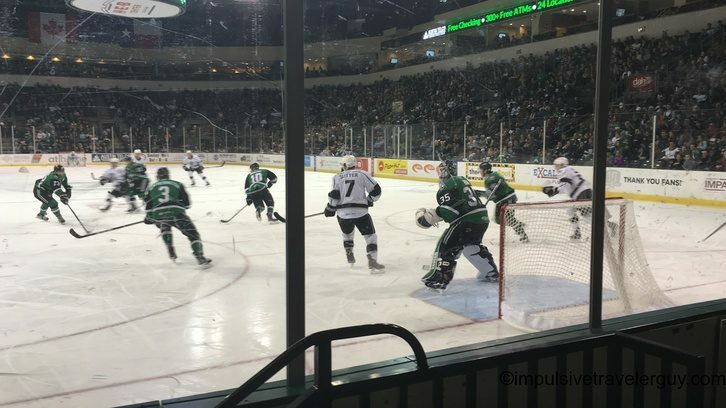 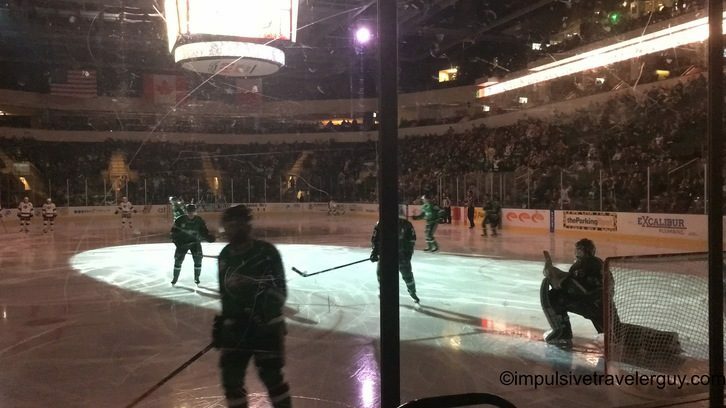 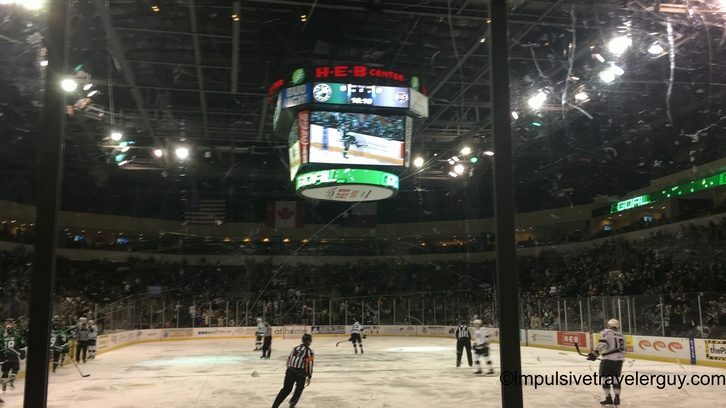 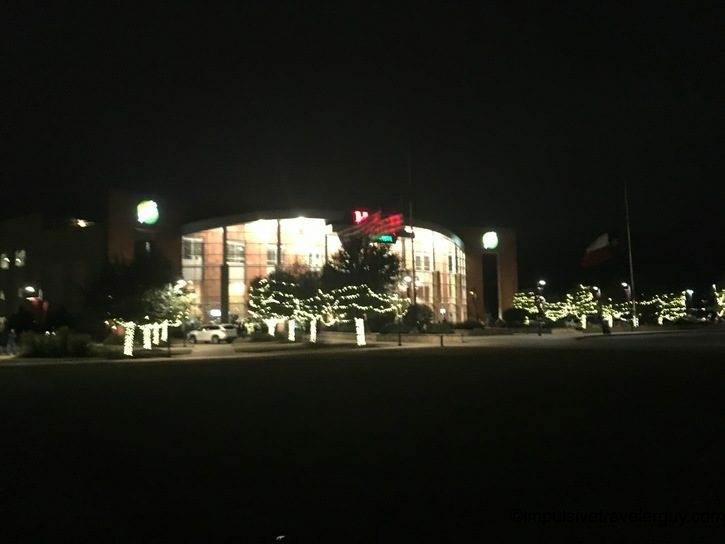 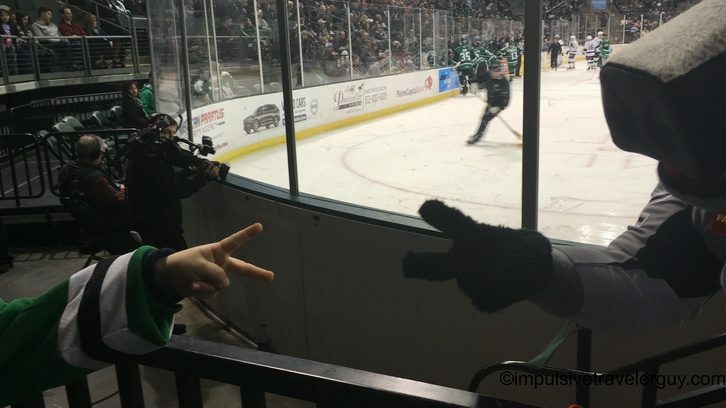 I can definitely say I had a great time at the Texas Stars game. 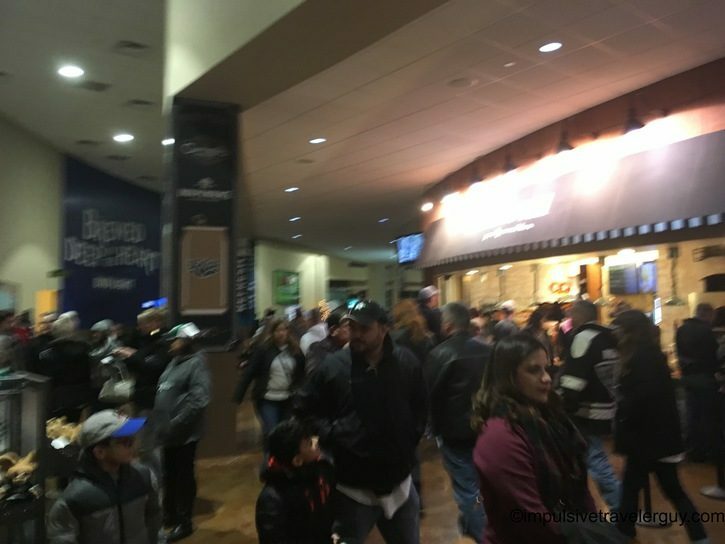 The tickets are pretty cheap overall and it’s very close to where I live now. 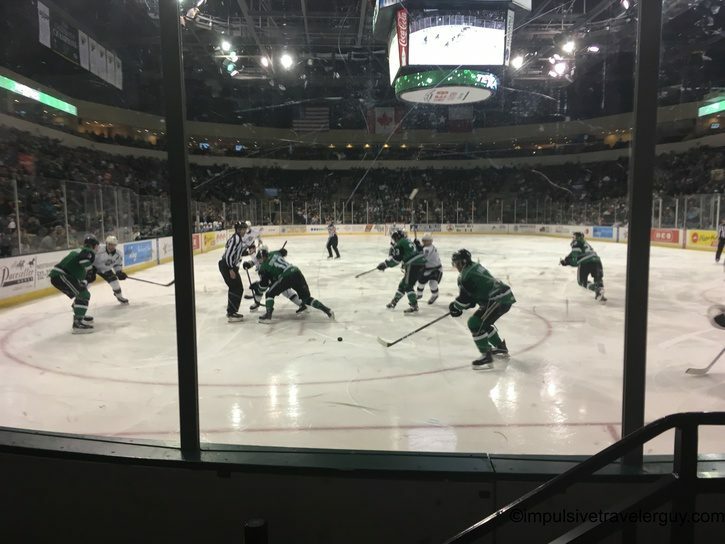 I’ll have to catch a few more games while I’m at it! 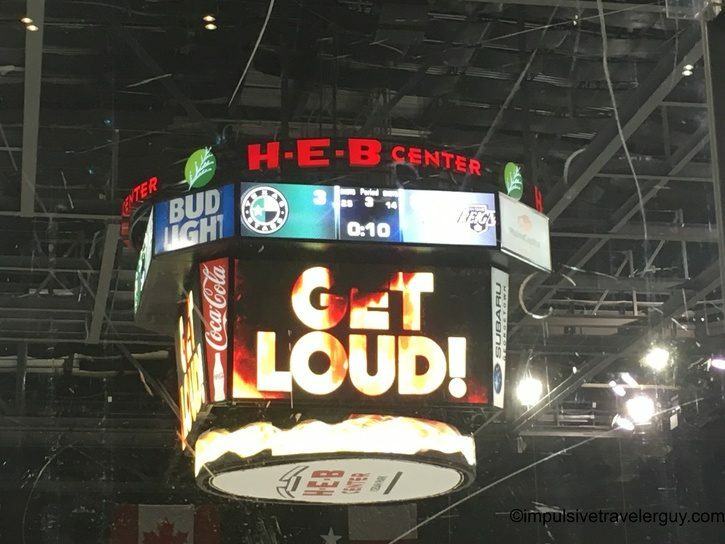 I’m glad they won in such a blowout game!